BILL 86 UPDATE: The chairs of six English and French school boards on the island of Montreal and the Laurentians held a rare joint press conference on Thursday, April 7 at Vincent Massey Collegiate in Rosemount. At this time they unveiled a new brief on Bill 86, which proposes a re-structuring of school board governance that limits the public’s right to vote for commissioners. This brief was sent to the Minister of Education, Quebec’s different political parties and organizations which have made presentations at public hearings in the National Assembly. It encompasses the common views of the six English and French boards, which represent 283,000 students, 508 schools, 40,500 employees and total budgets of $2.5 billion. Speaking on behalf of their boards were: Miville Boudreault, chair of la commission scolaire de la Pointe-de-l’Île (CSPÎ); Catherine Harel Bourdon, chair of La commission scolaire de Montréal (CSDM); Louise Lortie, chair of the commission scolaire de Laval (CSDL); Jennifer Maccarone, chair of the Sir-Wilfrid-Laurier School Board (SWLSB) ; EMSB Chair Angela Mancini; and Suanne Stein Day, chair of the Lester B. Pearson School Board (LBPSB). These school boards are represented by 72 elected officials and 23 parent commissioners. The approach and the proposals put forward by the Liberal government, first by the Minister François Blais, then Minister Pierre Moreau and now by his successor Minister Sébastien Proulx, naturally led the elected representatives of the school board councils to come together to speak with one voice about the many concerns, questions and recommendations related to Bill 86. The six board chairs showcase their unity. It should also be noted that the elected commissioners of all our boards support the valid concerns of the anglophone sector with regards to their constitutional rights under Article 23 of the Constitutional Charter in which English-speaking children may receive and maintain their instruction in English in schools under the management and control of the English-speaking minority. In this context, should this article supercede the application of Bill 86 in Quebec, there is a fear that the government may consider deploying a two-tier system, where on one side, the English school boards will benefit from democratic and pluralistic councils and on the other, the French school boards will suffer in the hands of a Ministry whose top leader has been replaced on average every 18 months for the past 10 years. Here is a Global TV report on the press conference and here is a CTV Montreal report. Here is our video on the Bill 86 presentation in Quebec City. There was also this Breakfast TV panel on Bill 86 featuring Commissioner Joe Ortona and Parent Commissioner Joanne Charron. CPC DECISION: The decision taken by the EMSB Council of Commissioners in February grants EVERY elected parent delegate a democratic right to full membership on both their Regional Parents’ Committee and the Central Parents’ Committee. Now every delegate has the right to vote at the CPC. Previously, only a select few had that right. At the January 2016 Council of Commissioners’ meeting, several Regional parent delegates, represented by Carmie Lato from John F. Kennedy High School in St. Michel, asked that all parent delegates be given the right to vote at CPC. “We request that this board re-structure to only one parents’ committee, thus eliminating confusion, dysfunctionality and the divisiveness that the current model fosters … we want one parents’ committee – period,” said Ms. Lato. All Regional parent delegates were invited by Chairman Mancini to express their views on this request at a meeting held on February 4 at John F. Kennedy High School. Thirty-seven out of 49 parent delegates attended the meeting. Several members of the Council of Commissioners, as well as several board directors, were also present. While some mentioned their concern about the timing and the dynamic of such a large committee, the vast majority agreed that every delegate should have a vote. “I would not have entertained this change to the parent committee structure had there not been significant support expressed by the parents themselves,” said Ms. Mancini. “This was a grassroots initiative. And the Council demonstrated its support for ALL parents and the fundamental democratic premise of: one school – one delegate – one vote.” See press release. IN-SCHOOL ADMINISTRATORS: The first round of in-school administrator appointments and changes for 2016-2017 have been announced. Retiring as principals will be Leah Auclair (presently on leave at Edinburgh Elementary); Raizel Candib (Merton); Marysa Barassi (St. Laurent Adult Education Centre), Claude Dansereau (LaurenHill Academy) and Ben Fagan (High School of Montreal Adult Education Centre). INTERVIEW BLITZ: The EMSB Human Resources Department held an Interview Blitz for new teacher candidates recently. Approximately 200 potential new teachers were interviewed by 50 principals and vice-principals who graciously volunteered their time during the afternoon and evening at the Administration Building. 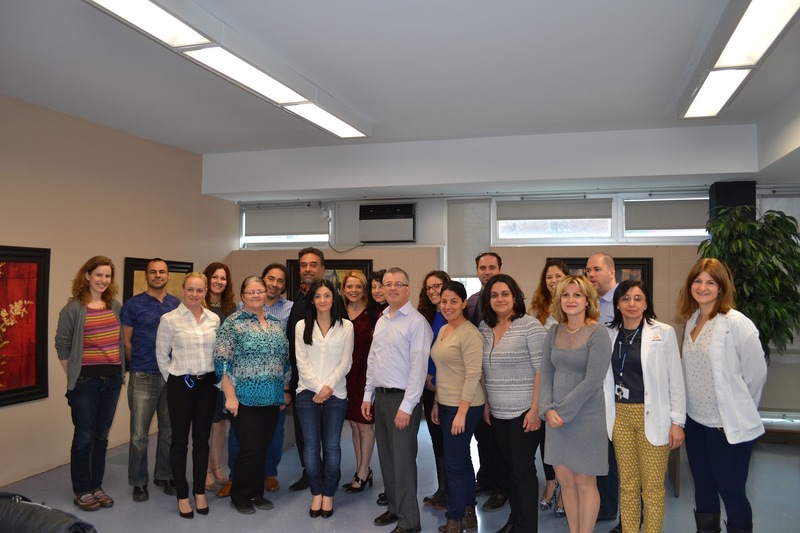 It was an exciting and successful session – many of these new teachers were immediately hired and are in our schools as substitutes already. We wish them all a successful career at the EMSB. VOLUNTEER NIGHT: The EMSB held its 15th annual Volunteer Appreciation Evening on April 12 at the Centre Renaissance in Anjou. This year’s event was held to commemorate National Volunteer Week, which ran from April 11 to 15, under the theme of “Leading by Example.” Montreal comedian Guido Grasso performed a short set, courtesy of Ralph Buttino of VMG Entertainment. VMG produces the popular Bad Boyz of Comedy series. Buttino is a graduate of Laurier Macdonald High School. Global TV's Jamie Orchard and EMSB Communications and Marketing Specialist Michael Cohen served as the emcees. This year’s Volunteers of Distinction were the husband and wife team of Frank and Tina Saracino, who have volunteered at Honoré-Mercier Elementary School in St. Léonard over the past 14 years. Their three children have attended the school. For the eighth consecutive year, La Capitale Financial Services was the title sponsor for this event. Along with La Capitale, the 2016 EMSB Volunteer Appreciation Evening was proud to have the following companies as its major sponsors: Steve’s Music Store; Loft Uniforms; Green Apple Studio; the Montreal Alouettes; Grevin Museum Montreal; The Suburban Newspaper and “MList”, a membership club that offers discounts, special offers and promotions from a wide range of Montreal retailers and services, and its website offers blogs on food, parenting, fashion and more; Evangelista Sports; Lamontagne, which offers a large assortment of chocolates (including nut-free), as well as popcorn, snacks, gourmet food products, and organic and fair trade products for all kinds of school fundraising projects; and The Big Blue Hug. The Miss Earth representatives with Kindergarten students showcasing their small model planets. MISS EARTH: On the eve of Earth Day, Hampstead Elementary School welcomed four special guests on April 21. Miss Earth Canada National Director Ronaldo Soriano Trono was accompanied by Miss Earth Quebec 2015 Jade Caron, Miss Earth Quebec 2014 and Miss Fil Canada 2013 Marie Antonette Carbon and Rosie Abigail Smith, one of the finalists in the 2015 Miss Earth Canada Pageant. Miss Earth Canada is an annual competition in which the winner must show her commitment to environmental awareness and the preservation of the planet. They are given the opportunity to highlight these goals through events locally and internationally. Jade Caron grew up in Montreal North in a multicultural environment where more than one language was spoken and where a variety of cultures and religions were mixed. Marie-Antonette Carbon, 24, is a Registered Nursing Auxiliary and recently graduated from CDI College. She plans on going back to school to specialize in pediatric care. In the meantime, she’s currently working as sales associate at Jaffna market. Rosie Abigail Smith was born and raised in Hawkesbury, Ontario in a household where good values and morals are crucial. This definitely shaped the person she is today. For more information log on www.rosotro.com or http://earthcanada.blogspot.com. See press release. Students join the Junkyard Symphony. JUNKYARD SYMPHONY: In recognition of Earth Day, students and staff at St. Gabriel Elementary School in Pointe St. Charles enjoyed an interactive and educational “Recycle Rock” performance by the Junkyard Symphony. Organized by Spiritual and Community Animator, Veronica D’Agata, the Junkyard Symphony promotes environmental health and awareness through educational entertainment. All objects used in the show were repurposed and reused to create music and loads of smiles. On hand from Junkyard Symphony were Junkyard Jonny and Compost Chris, who performed a set of comedy infused rhythms and tricks. In addition to the entertainment, the performers also led a discussion about the importance of the three R’s: Reduce, Reuse, And Recycle. “It was a presentation with fun and smiles but had a serious message for our students,” said D’Agata. “The central focus of this presentation is to make the students aware the beautiful gift we have been given in our planet and how it sustains us. It is important for us to care for what has been given to us and preserve it for future generations. Breakfast TV was on hand. Here are their reports. Chief Top Leaf and students. NATIVE SPIRITUALITY: On April 21, students from Dalkeith Elementary in Anjou, under the guidance of Vince Lacroce, Spiritual and Community Animator, organized Earth Day Celebration to honour Native Spirituality, conservation of natural resources, and the protection of Mother Earth. Mohawk Education Chief Top Leaf was invited to address the migration patterns of North American animals, on native traditions and customs, and how we can do our part to become better global citizens. EARTH POETRY: On April 22 students from Nesbitt Elementary in Rosemount, under the guidance of Mr. Lacroce, organized an interactive Earth Day Celebration which included a presentation from Nesbitt's ECO Club, an Earth Day poem by Grade 4 students and a musical performance by Grade 4, 5, 6 classes “Heal the world.” The poem was prepared by Grade 4 teacher Perrie Lodico. The presentation was culminated by Mohawk Education Chief Top Leaf, the 80 year old guest with 63 years of experience on Native Spirituality. He addressed the students of the school about the migration patterns of North American animals, on native traditions and customs, and how we can do our part to become better global citizens. Mohawk Education Chief Top Leaf brought over 25 taxidermy specimens from Eastern Canada. 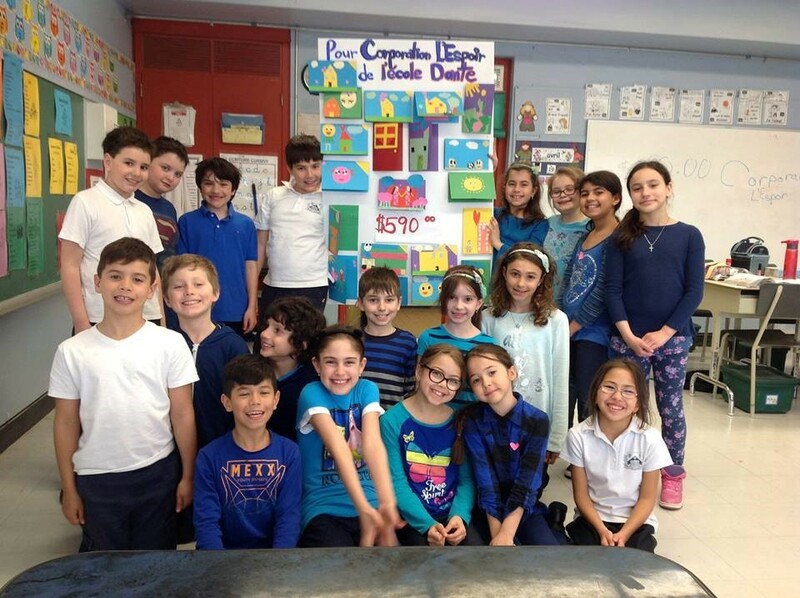 GREEN FUNDRAISER: Dante Elementary School in St. Léonard marked Earth Day with an opportunity to dress down day and raise money for the Corporation of Hope (La Corporation L’Espoir). The latter raises funds for families living with someone who has an intellectual handicap or autism. This initiative was taken by Dante’s Green Committee and teacher Elaine Frenette. A total of $590 was raised. 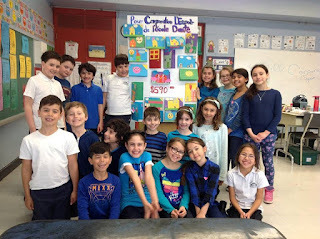 RECYCLED PAPER: On Earth Day, students at St. Dorothy Elementary School in St, Michel made their own paper from recycled paper scraps, to better understand the recycling process and to create further appreciation for environmental issues. The younger students watched Earth Day appreciation videos and learned about the 3Rs (Reduce, Reuse, Recycle) via a song written by Jack Johnson, Spiritual Animator Aaron Durocher played guitar. See the report on CTV. TURN OFF THE LIGHTS: With a focus on energy conservation, the Green Committee at Willingdon Elementary School in NDG has spent their school year working diligently to ensure that students and staff remember to turn off the lights. Students have replaced light switch plate covers in over 30 classrooms and offices with ones that offer a friendly reminder to conserve electricity when the room is not in use. Furthermore, members of the committee patrol classrooms during recess and lunch to monitor if classes are consistently buying into their efforts For the ultimate exclamation point on their campaign, the Green Committee celebrated Earth Day by bringing all 500 students and staff together to form a giant light bulb in the schoolyard. 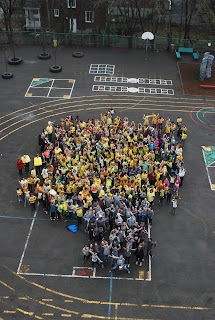 Students in Grades 1 through 5 wore yellow, while those in Grade 6 donned grey for the base of the bulb. MENTAL HEALTH WEEK: With the Canadian Mental Health Association’s Mental Health Week quickly approaching, students at Rosemount High School have decided to raise awareness through a series of YouTube videos. Running from May 2 to 8, Mental Health Week is an annual campaign where the Canadian Mental Health Association (CMHA) celebrates mentally healthy lifestyles and positive attitudes across Canada. In recognition of the week, students in Grades 8 through 11, under the direction of teacher Sonia Mangiola and Spiritual and Community Animator Vince Lacroce, created three videos that will be disseminated via social media. 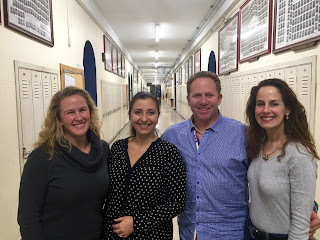 The videos would not have been possible without the help of the Butel family, as well as Rosemount High School students Eliana Marra, Dahlia Valiante Pace with and Vice-Principal Andrew Mangal, who composed the musical score. The current project will serve as a foundation for specialized Mental Illness workshops that Rosemount High School students will deliver to local elementary school students in the fall. Those workshops will take place in concert with the CMHA’s Mental Illness Awareness Week, running from October 3 to 9. Please click the following link to watch the first video. Rosemount HS students outside the Holocaust Museum. HOLOCAUST MUSEUM: With heavy hearts, Grade 11 students from Rosemount High School recently visited the Montreal Holocaust Museum. 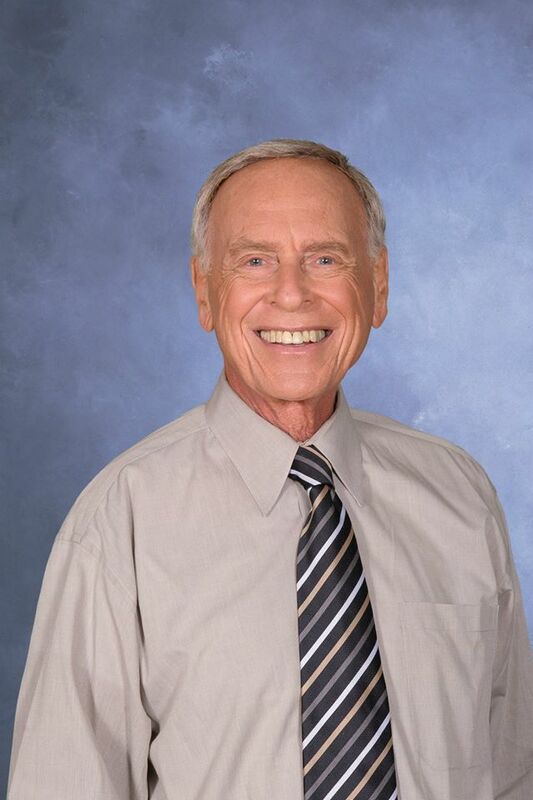 The visit was in advance of April 28, when three Holocaust survivors: Ted Bolgar, Steven Hopman and Willie Glazer will share with Rosemount students their story from the Holocaust, which fortunately, is one of survival. The survivors will also address the rise of religious intolerance in the world and the importance of spreading world peace and promoting acceptance and understanding. Rosemount students have spent this year focusing on the children of Holocaust survivors. Children of survivors represent the last direct link to Holocaust survivors and as such, keep the memory of those who died alive for future generations. The visit was coordinated by Vince Lacroce, Spiritual and Community Animator, along with Antonio Scozzari and Paul Paterno, teachers at Rosemount H.S. SPIRITUAL AND COMMUNITY CENTRE: Rosemount High School inaugurated its new Spiritual and Community Centre recently by hosting its first ever Spirit Retreat. In all, seven East End schools participated in Spirit Retreats throughout March and April. The theme of the spirit retreat was B.A.L.A.N.C.E, whereas each letter represents a specific virtue (Bravery/Balance, Acceptance/Affirmation, Loyalty, Assertiveness, Non-violence/Noble Actions, Co-operation/Connection and Empathy). Students from Dalkeith Elementary in Anjou; Nesbitt Elementary School in Rosemount; Edward Murphy School in Hochelaga-Maisonneuve; Pierre de Coubertin and Honore Mercier Elementary Schools in St. Léonard; East Hill School in Rivière des Prairies and Gerald McShane Elementary School in Montreal North participated in the retreat. A tremendous amount of work goes into preparing for the retreat, which was coordinated by Vince Lacroce, Rocco Speranza and Maria Kelly. The fun filled educational program was packed with presentations by the animators, games, exercises, activities and meditations, all revolving around balance. NATIONAL TEACHERS’ DAY: On the occasion of National Teachers’ Day, which occurs on Tuesday, May 3, the EMSB will recognize two teachers with special awards from P.F. Chang`s China Bistro while La Cage Brasserie Sportive will do so for a physical education and health teacher. The ceremony will take place at St. Monica Elementary School (6440 Terrebonne) in NDG on Thursday, April 28 at 10:15 am. Emile Haykal, operating partner for the P.F. Chang’s location on Rue des Jockeys near Decarie Boulevard and Jean Talon, will present St. Monica teacher Nancy Coutu and Shadd Health and Business Centre instructor Genevieve Kona-Mancini from the Pharmacy Technical Assistance Program with $100 gift cards to the popular restaurant known across the globe for its fabulous Asian cuisine. 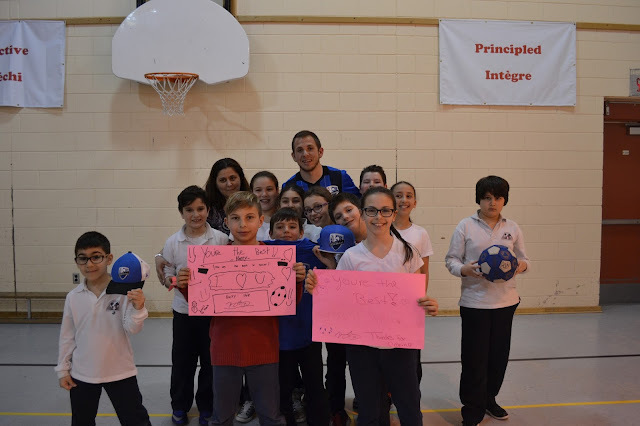 Stéphane Fortin, the physical education teacher at Elizabeth Ballantyne Elementary School in Montreal West, will receive a $100 gift card to La Cage Brasserie Sportive. Professional boxers Ulysse Junior and David Théroux, ambassadors for La Cage, will present that award. MEETING THE AUTHORS: First Book Canada, in collaboration with TD Bank treated St. Monica Elementary students to a magical day at the Musée de beaux arts de Montréal. Cycle 1 and 2 students had the opportunity to meet some of Canada’s most beloved children’s authors in person. Authors Melanie Watt (Scaredy Squirrel), Roch Carrier (The Hockey Sweater) and illustrator Marie-Louise Gay (Tiger and Badger) spoke about their passion for books and the importance of reading. After the presentation, Principal Irini Margetis was presented with a $10,000 cheque from TD Bank of Canada to encourage and support literacy initiatives. Children were then partnered with a TD Vision in Action volunteer who presented them, thanks to First Book Canada, with three books from the above-mentioned authors. TD volunteers read with the children and lined-up patiently to get their books signed by the three authors! 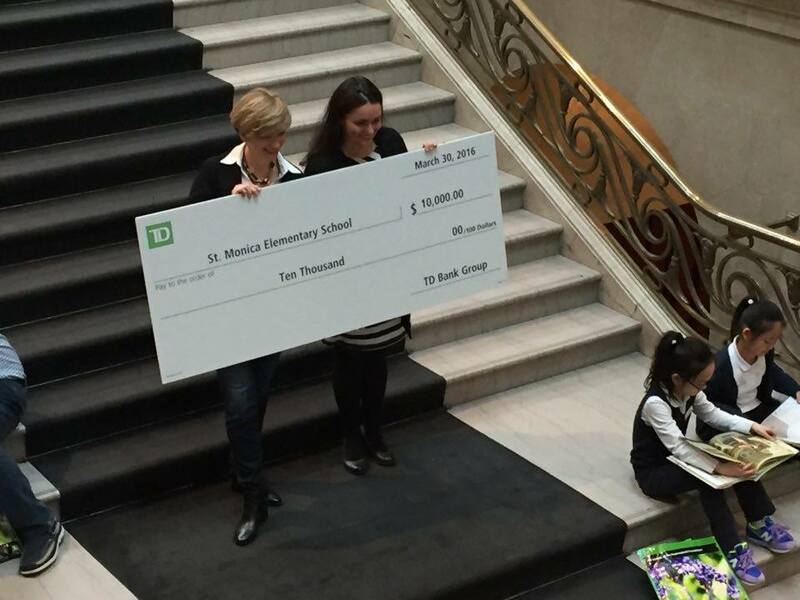 Thanks to the generosity of TD Bank, St. Monica staff and students were treated to a lunch, followed by an age appropriate guided tour of the Musée des beaux arts. The day ended with a relaxing painting workshop given by tour guides from the museum. Le Grand Défi comes to NDG. 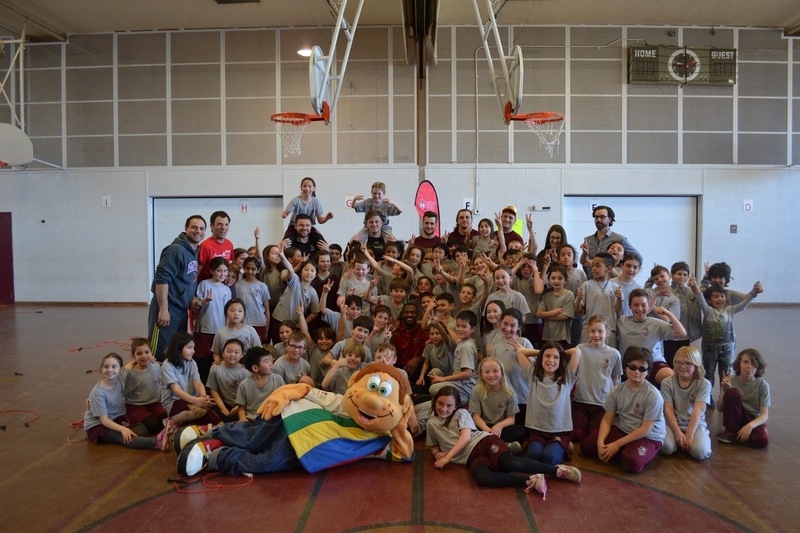 LE GRAND DÉFI: Officials from Le Grand Défi Pierre Lavoie Véhicube pulled into the St. Monica school yard for an incredible day filled with physical activity and interactive workshops on nutrition recently. The enthusiastic animators motivated students and staff alike by introducing the Cubes Énergie challenge which will take place during the entire month of May. This provincial contest encourages students to collect a maximum of energy cubes by exercising with their family. Pre-school to Grade 3 students showed off their moves during Zumba while grade 4 to grade 6 students sweat during a fitness session! The interactive spinning activity in the Véhicube was an instant hit! The children really enjoyed pedaling in the virtual world. Buckets Blakes was a big hit at Royal Vale. HARLEM GLOBETROTTERS: Buckets Blakes, a player from the world famous Harlem Globetrotters, visited with students at Royal Vale School in NDG on April 5 to present “The ABCs of Bullying Prevention,” which targets six to 12 year-olds. The Globetrotters, who played at the Bell Centre on April 8, designed the program in coordination with the National Campaign to Stop Violence (NCSV). It focuses on Action, Bravery, and Compassion, comprising the ABCs. Blakes asked the kids their definition of each word in the ABCs and expand on the answers. For example: “COMPASSION means caring about others and your community. You can stop bullying by being a friend and staying involved in positive activities that show that you care about other people.” For the finale, Blakes chose a few kids to join him up front to teach them some special Globetrotter ball handling moves to the tune of the team’s “Sweet Georgia Brown” theme music. The Globetrotters will bring “The ABCs of Bullying Prevention” to nearly 400 schools and youth centers as part of their 2016 World Tour, celebrating the team’s 90th anniversary. Here is a clip from Breakfast TV. 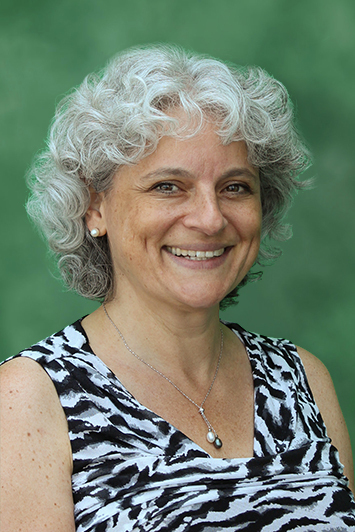 MINIACI RETIRES: EMSB Deputy Director General Paola Miniaci has announced her See press release. READING BUDDY GROUP: Ariella Schiff’s Grade 5 and Natalie Martyniak’s Grade 1 classes at Westmount Park Elementary School started a weekly reading buddy group. The students read their favorite types of books and shared with all of their oral reading skills. 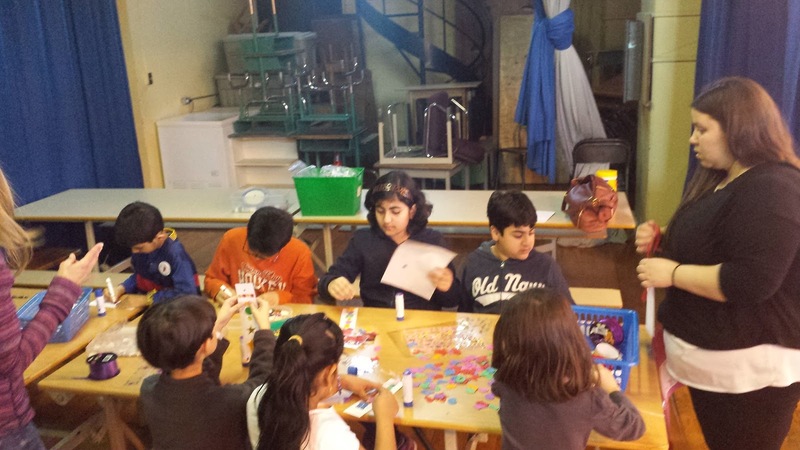 HELPING SYRIAN REFUGEES: Inspired by an assembly earlier in the year, students at Westmount Park Elementary School prepared welcome cards filled with messages of friendship and hope for Canada’s newest residents. Two student representatives will present these cards to child refugees on Saturday, April 30 (9:00 am) at Vanier College (821 Sainte-Croix, room D509) in St. Laurent. EDDY NOLAN`S RUN: EMSB caretaker Eddy Nolan once again honours Terry Fox by running a marathon down Sherbrooke Street. Students from Westmount Park Elementary School cheered him on as he ran by. See this clip from Global TV. See the photos. SCIENCE FAIR WINNERS: Jaan Van Der Weem and Sean Giaccobbe from Royal West Academy have advanced to the Canada-wide Science Festival, which will be hosted by EAST at McGill University May 18 to 20. The pair captured three awards at the Regional Science Fair in March– the Concordia University Faculty of Arts and Sciences Entrance Bursary, the Fondation ALCOA Award, and the Silver Medal in the Senior Division – for their project “The Root of Ethanol Production,” which explains the connection between growing root vegetables and the production of ethanol.They also competed at this year’s Quebec finals of the Super expo-sciences Hydro Quebec in Sorel-Tracy. EMSB EXPRESS: Copies of the Spring 2016 edition of the EMSB Express Newspaper have been distributed to schools and centres. You can also read the newspaper online. This edition features special coverage about our balanced literacy initiative, our EMSB Quiz, an update on our energy saving project and much more. The Impact`s Harry Shipp with students. EMSB AND THE IMPACT: For the 11th year in a row, the EMSB is pleased to announce the continuation of a partnership with the Montreal Impact soccer team through its “All the Way with the Impact” program. Over the next few months, members of the Impact will be visiting schools to remind young students of the importance of studying, persevering and building self-confidence in order to succeed. Harry Shipp visited Michelangelo Elementary School in RDP. The traditional “EMSB Night will take place on Wednesday evening, June 8 at Saputo Stadium as part of the Amway Canadian Championship, which involves the top five professional clubs in Canada, in the race to qualify for the CONCACAF Champions League. That is an international competition between professional clubs from North America, Central America and the Caribbean. Tickets, which are usually $20 each, were priced for EMSB families at a discounted $13 each with $2 from each ticket being donated to Inspirations, a publication dedicated to the special needs community. ALOUETTES NIGHT: There will be a special EMSB Night at the Montreal Alouettes pre-season game on Thursday, June 30 at McGill’s Molson Stadium when the Ottawa RedBlacks are the visitors. This is an individual school fundraiser. So for every ticket sold at a highly discounted rate of $15, schools get to retain $2 for their own fundraising purposes. E-mail communications@emsb.qc.ca to sign up. GYM FLOORS: The EMSB has allocated $280,000 for the refurbishment of wood gym floors in 20 schools: Carlyle, Cedarcrest, Coronation, Dalkeith, Dunrae Gardens, Edinburgh, Hampstead, Options, Parkdale, Rosemount HS, Royal Vale, Royal West, and East Hill, Hampstead, LaurenHill Academy, Parkdale Royal West, Sinclair Laird, Vincent Massey and Westmount H.S . Royal West students in India. INDIA EXCHANGE: Royal West Academy in Montreal West just wrapped up its latest International Student Exchange. Present-day teachers André Vamvakas and Angelos Diacoumacos and retired faculty member Sidney Westlake accompanied 20 Grade 9 students to New Delhi, Rajasthan and the Mumbai, Maharashtra regions of India. The students and staff were billeted with Indian families of Venkateshwar Global School of Rohini, New Delhi, who had visited Canada a year ago. For eight days the delegation experienced Indian life first-hand. The town was approximately 25 km from New Delhi, India’s capital, and one of its most exciting and vibrant cities. “The entire Canadian entourage was received with a rousing heart felt reception when we arrived, attended by all the Indian families at the Indira Gandhi International Airport,” said Mr. Vamvakas. See the full detailed press release. ROYAL WEST FUNDRAISER: The Royal West Academy Foundation will present a special advance performance of the Off Broadway musical comedy “I Love You, You’re Perfect, Now Change” at the Segal Centre on Monday, May 9 (8 p.m.). Written by Tony award winner Joe Dipietro, the storyline revolves around love and romance, from first dates to the nursing home. Completely volunteer-driven by parents and school staff, the Foundation is the fundraising arm of Royal West Academy in Montreal West. Its previous capital campaign raised the monies that built a brand new gymnasium seven years ago. Now an objective of $2 million has been set to transform the school’s aging auditorium into a state of the art performing arts centre for school programs and the surrounding community. Thus far, $400,000 has been collected, enabling work to begin in phases and allow students to experience improvements in the facility during their time at the school. 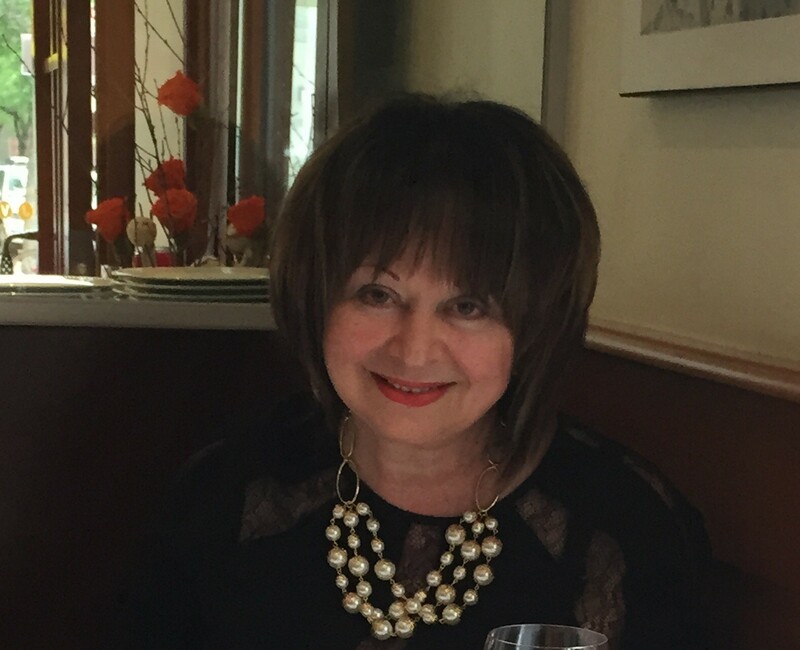 Laurie Rossitto-Abrams of Côte Saint-Luc is the Foundation president. Her executive Vice President Erica Brown is from NDG, Treasurer Mitchell White is from Côte Saint-Luc and Secretary Lindsay McLeod is from Pointe Claire. Tickets for the show are $65, with a tax receipt of $30. A limited number of tickets are available online at https://rwaf.ca. Organizers note it makes the perfect Mother’s Day gift. Coffee and cake will be served after the performance. MUSIC AND POETRY: Some students from John Grant High School in Côte Saint-Luc participated in a music and poetry workshop recently. Here is the piece that they composed. The lyrics are their own. A video will be made in May to accompany the song. You can hear it here. All of the students sang their hearts out. GREASE IS THE WORD: Students from four elementary schools- Roslyn (Grease)in Westmount, Edinburgh (Hairspray) in Montreal Wes, Gardenview (Thriller) in St. Laurent and Pierre de Coubertin (Annie) in St. Léonard put on a fabulous musical show recently at the Hellenic Community Centre. See this video. And this one. See the photo album. BOOKS, BEARS AND BLANKETS: April 15 marked the second-annual Books, Bears and Blankets event at Parkdale Elementary School in St. Laurent. About 50 families spent the evening in the school gymnasium circulating between various reading-based activities. The story tent was filled with cozy blankets as students listened to stories and snacked on ‘roasted marshmallows.’ Several reading circles provided families with their own space to read together. Students took home their own personalized bookmark from the arts and craft station. The event was a success with participation from Parkdale’s teachers, staff and students, as well as a dedicated team of family and local YMCA volunteers. Staff members created unique activities like a Teddy Bear Clinic as well as a reading activity designed for pre-K and Kindergarten students and their families. Grades 2 and 5 also contributed by making posters and healthy snacks for the event. Books, Bears and Blankets emphasized the importance of literacy in family and community environments. Parkdale gathered support from local partners like the Du Boisé library, who were on site making library cards and informing parents on available resources and upcoming community activities. Parkdale students showcase their artistic talents. The message of literacy was delivered to other schools as Parkdale presented Pierre Elliott Trudeau School with their very own Lending Library. The latter allows students to exchange and/or take out books to read. Donations from attending families will be used to replenish Parkdale’s Lending Libraries and Adopt-a-Book programs which promote reading throughout the school. This event was organized by the Parkdale CLC (Community learning Centre) and the Community Connections Committee. See the photo album. EASTER AT PET: As students walked into Pierre Elliott Trudeau School in Rosemount, they were buzzing with excitement for the Easter activities that were going to take place throughout the day. Students entered the school proudly wearing their Easter bonnets that they artistically created with the help of their parents. Each grade voted on the bonnet they found to be the most creative and the winner received a big Kinder Surprise Egg. The Easter bunny hopped into each class to distribute the Chocolate Bunnies that were donated by the Kathy Magi-Loffredi Heritage Foundation. The children were overjoyed by the visit. The fun-filled day ended off with ice cream sandwiches, which were provided by our amazing P.P.O. These kids are all pink. DAY OF PINK: The Royal Bank of Canada (RBC) Day of Pink came to Pierre Elliott Trudeau Elementary School on April 13, bringing students a bevy of anti-bullying activities. Students had the opportunity to participate in four activities. For the Anti-Bullying Bodies Craft, each student received a cut out pink body craft with a pink t-shirt. In the centre of the t-shirt they wrote a kind word. All of these were displayed, linking hands, in the front entrance of the school. Reading of "One" by Kathryn Otoshi saw each teacher receive the compelling book called "One." The motto of the book is "it only takes one" to stand up against bullying. A Puzzle Piece Pledge saw each class receive a poster in the form of a puzzle piece. In the centre of the poster lay a crumpled heart that signified the irreversible damage caused by hurtful words. Following the reading of the storybook "One" in class, students signed their names around the heart as a pledge against bullying. These puzzle pieces were assembled and displayed in the front entrance of the school. Finally, each student received a tie-dye pink t-shirt that they wore for the whole day. A number of prizes were donated by RBC. SHARING MUSIC: Check out the faces of the adorable children who were surprised at yet another successful Sharing Music Unites Us™ event held at Pierre Elliott Trudeau Elementary School in Rosemount. Click here for a video. For more information contact artist Jaye, the noted guitar coach & founder of the Sharing Music Unites Us™ cause, Info: www.SharingMusicUnitesUs.com. MONTREAL COMICCON: The EMSB will have an information table at Montreal Comiccon July 8 to 10 at the Palais des Congrés. More details to follow. BATTLE OF THE BOOKS: Students from LaurenHill Academy in St. Laurent and Vincent Massey Collegiate in Rosemount tested their literary knowledge and power of quick recall, as they competed in the EMSB first-ever “Battle of the Books,” which took place on April 11 in the Laurence Patterson Room of the EMSB Administration Building. By the time the fast-paced hour-long competition was over, LaurenHill won a close victory over Vincent Massey Collegiate, by a score of 67-61. The LaurenHill Academy team, which was made up of students Anna Marie Magera, Olivia Polyi-Elliot, Tahiya Rahman, Alannah Grant, Amira McRae-Nelson and Amerit Percolides, went on to represent the EMSB in the “Ultimate Battle” on April 20 in the Saputo Auditorium of Lower Canada College. 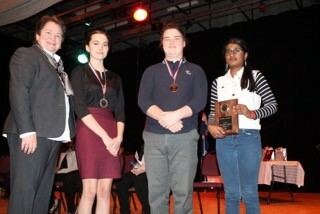 St. Thomas High School from the Lester B Pearson School Board (LBPSB) a came in first place; LaurenHill was second. The Vincent Massey Collegiate team was comprised of Abiramy Manimaran, Sam Rowan, Julia Bifulco, Caroline Meale, Elyssia Ieropoli and Alessandra Laurieri. WELCOME HALL MISSION: Pedagogical days for many students are another day off, but not for everyone. Spiritual and Community Animator Samantha Page Smith took a group of five LaurenHill Academy students to the Welcome Hall Mission where they learned about the good work the organization does for the city. 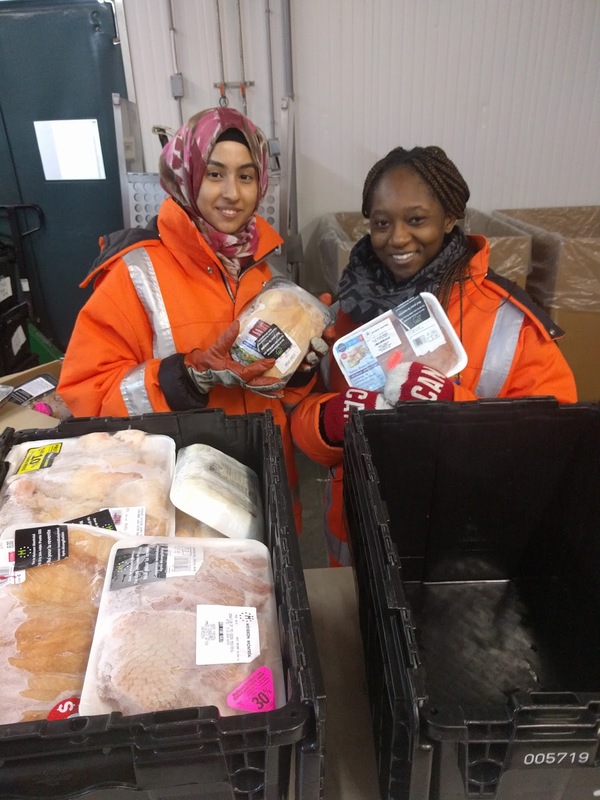 Students spent six hours sorting frozen meat that were then distributed to those in need. This is Spirituality in action! FRENCH FOR THE FUTURE: Westmount High School was the site for the 2016 French for the Future Montreal Local Forum on April 22. Aimed at promoting bilingualism amongst Canadian youth, the theme of the annual French for The Future Conference is Respect, Culture and Integration into Québécois Society. Some 500 students from 10 Montreal high schools and three school boards were present. Charismatic Montreal comedian Dorothy Rhau served as master of ceremonies. Native Canadian rapper, Samian, nominated for “artiste de la paix” in 2016 inspired the youth with his story and powerful bilingual lyrics, partly in French and partly in his native Algonquin language. Royal West Academy student Avi Caplan joined him on stage and did some impressive Check it out here. This year, the committee added the theme of celebrating earth day and Jean-Philippe Hardy, assistant director of engineering for energy efficiency experts Énergère kicked things off, generously providing awards for the Environmental Video Challenge with submissions from students participating schools. The team from Westmount High School of Grade 9 students beat boxing. Lauren Natovitch, Samara Clery-Fowell and Meghan Greisman came in first place. Teacher Layla Khanji was their inspiration. Énergère is presently involved in a $24.6 million project with 17 English Montreal School Board facilities. Mr Hardy congratulates Meghan Greisman Lauren Natovitch and Samara Clery-Fowell. Rebecca Fiset-Côte, a rising star on the local music scene, performed. The 17 year old recently made headlines on TVA’s hit show La Voix (The French-language version of The Voice). She appeared in nine episodes before millions of viewers, making it through the pre-auditions, the blind auditions (with three chairs that turned) the duels (where she was stolen by another coach) and finally to the March 13 "champs de bataille" where she churned out a passionate version of Francis Ghabril’s Je l'aime a mourir. Other activities included an interactive quiz on Canadian and Quebec culture, a francophone youth contemporary and hip hop dance group, Volte Face, and a much anticipated interactive finale starring the always entertaining Ligue D’improvisation Montréalaise. The event concluded with some exciting prizes presented by local sponsors (Bureau en gros, HMV, EMPIRE, Renaud Bray etc. ).Participating EMSB schools were Westmount High School, Royal West Academy in Montreal West, and John F. Kennedy High School in Villeray-Saint Michel. For more details log on to www.french-future.org. See the coverage on Breakfast TV. A delicious piece of cake. CAKE COMPETITION: Westmount High mathematics teacher Erin Pilkey adapted a unique approach, first used last year by Ayesha Khan to teach volume and surface area. Erin had her students bake cakes as part of the unit on solids. She had them calculate the volume of cake batter needed to make their cakes, as well as the surface area that would be covered with icing. Then on April 11, 2016, the students brought in their cakes to compete in a cake completion. They were judged on the execution of their concept, the taste as well as how recognizable and creative the theme was. The contest was a major success with Melissa Rainha Baptista and Tatiana Milne-Parry winning first prize for their beach-themed cake. 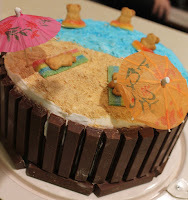 At the end of the competition, Erin’s students sold pieces of their cakes to raise money for charity raising over $200. It was such a success that next year’s contest is already in the works. TIN MEN PROJECT: Three teachers at Westmount High school, Gino Conforti, Trudy Fairserivice and Erin Pilkey, had their students create tin men (see photo above) as a culminating activity for the unit on surface area. The students worked in teams to design unique tin men and calculate the amount of foil needed to completely cover their creation. Once they had determined the amount of aluminum foil they would need, their teacher would give them that exact amount of foil. Gino, Trudy and Erin were thrilled with the final results and their students loved using their math skills in a less traditional manner. Director General Ann Marie Matheson hands out medals. PUBLIC SPEAKING: The EMSB's most dynamic communicators once again took to the podium at the 2016 Public Speaking Competition hosted by Lester B. Pearson High School in Montreal North. Secondary I-II students presented personal narratives while Secondary III-V students delivered persuasive speeches on topics of social and political importance. Secondary I, II and III winners will have the opportunity to present their winning speeches to the Council of Commissioners. The Women’s Canadian Club awarded Secondary IV winner Jessica Sheoprasad from Rosemount High School with an all expenses paid week to Encounters with Canada in Ottawa and an invitation to deliver her winning speech at their May meeting. The Rotary Club of Montreal invited Secondary V winner Logan Stack from Royal West Academy and runner up Sarah Sikder from LaurenHill Academy to their 76th annual Public Speaking Contest for High School students on Friday, May 13, which will be held during a luncheon at the St James Club. The awards are educational bursaries, paid to the college or university selected by the student. The winner's school will also host the RCM plaque. 1st place: THRISIKA VISUVALINGAM “CHANGE” MARYMOUNT ACADEMY INTL. 2nd place: MARCUS BENCSITS “REFUGEE CRISIS” MARYMOUNT ACADEMY INTL. PEARSON ART SHOW: Lester B. Pearson High School held its traditional performing arts show called “Pearson Vibes” recently in the auditorium. A morning show was presented to elementary school students and an evening edition was organized for parents, students and staff. Seventy-five students showcased their talents on that day. Cara Carosielli from Extravadanza, a partner with the Sport-Études program, in collaboration with many staff members, directed and produced the show. A surprise staff performance was also on the menu! HOCKEY VS. THE HABS: The LBPHS Jean Roy Sports-Études hockey concentration was involved in a hockey game against the Montreal Canadiens old-timers on April 24 at Martin Brodeur Arena in St-Leonard. The Sport-Études students and fans got to have breakfast, sign shirts and take pictures with the players. 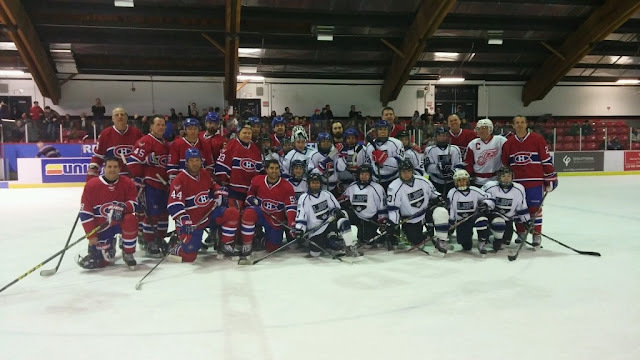 Jean Roy’s team played against several of the former Habs including Stephane Richer, Guy Carbonneau, Dave Morissette, Guillaume Latendresse, Francis Bouillon and Gilbert Delorme. MEDAL WINNER: LBPHS Sport-Études student Katherine Vithoulkas won one gold and two silvers at the Festival équipe - section 1. Katherine also won three gold medals in the Grand Prix in Montreal North. She won for 50 breaststroke, 200 free and 100 backstroke. Congratulations to Sport-Études swimming student Tai Long Singh on his selection to Team Canada at the Junior Pan Pacific in Hawaii this August. Hats off to Secondary V Sport-Études student Giuseppe Moffa on becoming the Canadian champion and winning gold at the Canadian Amateur Boxing Championships in the 49 kg category. SPIRIT QUEST II: For the second consecutive year, students from the EMSB trekked across Montreal on a Spirit Quest, allowing them to further develop their connection to the earth and their own spirit. Throughout the day, students visited civic, historic, spiritual and community organization sites, obtaining personal experience in developing positive virtues and character traits allowing them to strengthening the bonds of school-community relations in addition to their connection to their inner and outer surroundings. “One of the goals of the Spiritual and Community Animation service is to facilitate and encourage students to put into action their best self, and express their own positive virtues and character traits,” said Frank Lofeodo, Education Consultant for Guidance and Spiritual Community Animation. “The Spirit Quest represents a journey to deeper self-understanding.” Students from John F. Kennedy High School in St. Michel, Laurier Macdonald and John Paul I High Schools in St. Leonard, Lester B. Pearson High School in Montreal North, Marymount Academy International and Royal Vale High School in NDG as well as Vincent Massey Collegiate in Rosemount participated in the day-long activity. CABANE A SUCRE: Elizabeth Ballantyne students were treated to a fun and interactive Cabane à sucre themed morning to wrap up their semaine du français! Students enjoyed an interactive play that recounted the history of maple syrup before spending time at different activities such as dancing and crafts. A trip outside for some delicious maple syrup capped off a perfect morning! TOONIE CHALLENGE: The McGill University Health Centre held the fourth annual Toonie Challenge recently, an annual event whereas schools from around Montreal try to raise money for the hospital in the form of toonies. Both Willingdon Elementary School in NDG and Roslyn Elementarry School in Westmount participated, raising over $1,000 in toonies! See the photo album. ST. DOROTHY FOOD FAIR: St. Dorothy Elementary School in St. Michel recently hosted its first annual food fair entitled, Around the World. The purpose of this project was to inform students about the disparities in wealth and food that exist amongst the countries of the world. 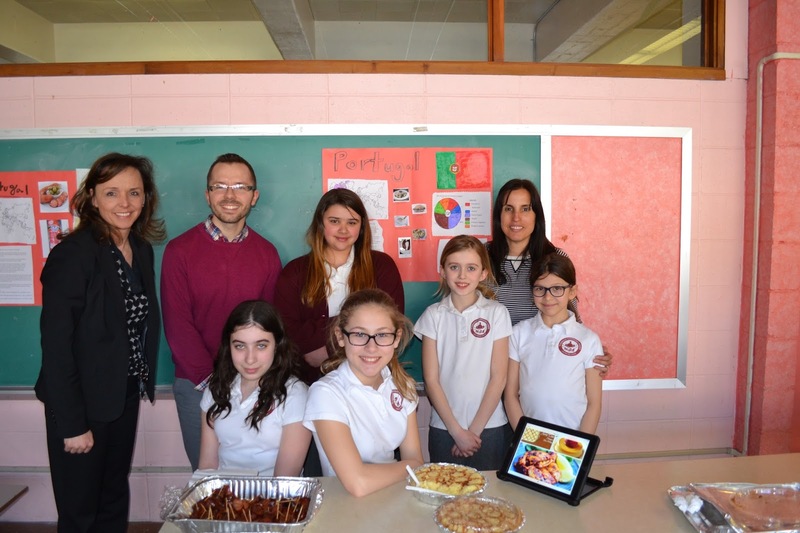 Organized by Spiritual and Community Animator Aaron Durocher, Principal Sandra Léveillé and Grade 5 teacher Sandra Gloria, students were each given a stipend to buy the supplies needed in order to make a cultural dish from the country or region that they chose. They researched the average monthly income, average amount of calories consumed and average amount of money spent a week on food. They were then asked to come to their own conclusions about the state of their particular country or region. The project was a huge success as students not only learnt a lot, but were able to teach their fellow students about their findings. See the video. See the photo album. CHORALE: The EMSB Senior Chorale capped off a week of high-profile concerts with a guest appearance at the Maison symphonique. They performed five movements of Pergolesi’s Stabat Mater with Mélanie Barney on the great organ of the hall as a prelude to the Orchestre Métropolitain’s concert. Federal Heritage Minister Melanie Joly was in attendance. FREE HEBREW FOR JUNIORS: Passover is now upon us, and several students from Edinburgh Elementary School of the EMSB, which is located in Montreal West, prepared for the holiday by learning about its traditions and significance thanks to Free Hebrew for Juniors, as part of the after school program it conducts at Edinburgh on a weekly basis. Currently, 11 Edinburgh students are registered with the program. “Free Hebrew for Juniors was founded over 40 years ago by Sima Paris with the intention of ensuring an education in Jewish Heritage and Hebrew studies for children in public schools,” said Yehudis Lurie, who is the program coordinator at Free Hebrew for Juniors. “Our students gain strong skills in Hebrew reading and writing as well as solid sense of Jewish identity.” See page 1 of The Jewish Standard Magazine. Other EMSB schools that take part in this weekly Free Hebrew for Juniors program include Elizabeth Ballantyne School in Montreal West, which also takes place after school, and Hampstead School and the Mackay Centre in NDG, for which classes take place during lunch hour. STORYTELLING: A series of four elementary level storytelling events took place at the EMSB recently at East Hill Elementary School in RDP, Willingdon Elementary School in NDG, Sinclair Laird in Park Extension and Dunrae Gardens Elementary School in TMR. 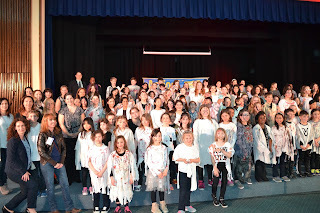 Approximately 80 cycle III students were involved in a live enactment of stories they retold or stories they created themselves, some in English and some in French, before an audience of parents and students. The festivals were held to celebrate oral traditions by celebrating gifted young storytellers. EMSB arts consultant, Nicholas Doyon, joined forces with the elementary ELA consultant Terry Saba to make this year’s events very popular. An accomplished storyteller himself, he visited, performed for and coached students in many of the elementary schools. MACKAY FUNDRAISER: The Mackay Centre School benefitted from the fifth annual fundraiser presented by Sami Fruits. Patrizia Ciccarelli. Funds were raised for Mackay/P.E.L. Special Olympics, and Projet Rad. SINGERS FOR A CAUSE: The Mackay Centre School received a visit from “Singers for a Cause,” a group of students at nearby Marianopolis College in Westmount, on April. “Singers for a Cause” was created a year ago by second year Health Sciences student Alexandra Cohen. Meeting weekly, group members put together concerts for various charitable purposes. Past performances have taken place at hospitals, geriatric facilities, community centers and at school events and fundraisers. The concert at the Mackay Centre School engaged the young students with some audience participation, as the group sings current pop and Disney tunes, including songs from everyone’s recent favourite Disney film: Frozen! See this report from Breakfast TV. Web series producer and star Shanna Roberts Saleé and Virgin Radio's Kelly Alexander with students. CAREER EXPO EVENT: Secondary IV students from across the system participated in the annual Career Expo Program at St. Pius X Career Centre in Ahuntsic on April 14 and 15. Students had a wide variety of classroom sessions to choose from on topics such as media, printing, nursing, pharmaceutical studies, travel, business, cooking, aesthetics and much more. See this clip form Global TV. CAREER EXPLORATION PROGRAM: The EMSB Student Services Department`s Career Exploration Program is designed for students to help them to discover if the occupation they are most interested in pursuing in the future is the right career path for them. This program has enjoyed success in the past largely due to various companies, institutions and contacts that take the time out of their busy schedules to welcome the EMSB students to these events. On March 23, several EMSB students from Royal West Academy, Vincent Massey Collegiate, Rosemount, Westmount, Lester B. Pearson and Laurier MacDonald high schools had a career exploration visit at the McGill University Health Center new facilities at the Glen site. Diane Weidner of the MUHC Public Affairs Department organized this enriching experience for our students. After a brief introduction and tour of the hospital, the students visited the McConnell Resource Centre and learned about the many educational resources available for patients and staff. The students then made their way to the Montreal Children's Hospital where they had a productive information session with Ms. Weidner. Afterwards, the students attended an information session with Dr. Aris Hadjinicolaou. Dr. Hadjinicolaou, a General Pediatrics Resident and currently the President of the Association of Residents of McGill (ARM), answered several questions from our aspiring doctors. The students relished this opportunity greatly and went over the allotted time of the session due to their eagerness. Dr. Hadjinicolaou shared a similar sentiment and was more than helpful with his responses, portraying his passion for medicine to the younger students. Overall, it was yet another successful career exploration visit. PLAY IT FAIR: The EMSB`s B.A.S.E. Daycare Program and Spiritual Care and Community Involvement Services will be hosting a Supporting Children as Leaders Through Play it Fair! 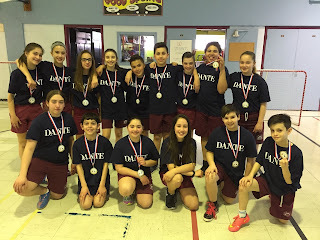 Celebration on Friday, May 6 from 10 am to 11:30 am at Dante Elementary School in St. Léonard. As of October 2015, some 20 Secondary IV students from Vincent Massey Collegiate have been participating in the Supporting Children as Leaders through Play it Fair! pilot program with more than 200 B.A.S.E. daycare students from Dante, Gerald McShane, Michelangelo International and Pierre Elliott Trudeau Schools. Under the mentorship of B.A.S.E. daycare educators, the VMC and B.A.S.E. students engaged in weekly activities and group discussions around different values and created community action projects that aim to make the community a better place. This celebration is being hosted for three reasons: to highlight the collaborative environment and the relationships formed between the daycare educators, the VMC students and the B.A.S.E. students; to showcase the different community action projects; and to award the VMC students with their Play it Fair! Activity Leader Certificates. BALL HOCKEY CHALLENGE: On April 20, 15 students from Cycle 3 took part in the annual Gerald McShane Elementary School Ball Hockey Challenge. The day was quite a success. Team Dante had to overcome some adversity in its first two games, including some questionable calls by the officials in the game one, as well as a hard fought 2-1 loss to the eventual champs from Willingdon in game two. Students did an amazing job of staying composed and representing Dante with class despite these frustrations, many of which were out of their control. They rebounded nicely winning the remaining games against good competition for a strong third place finish. Fun was had, and valuable lessons were learned by all. 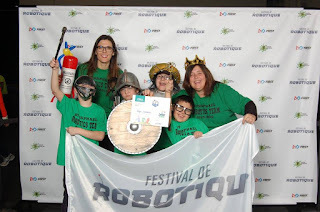 ROBOTICS: Six students at St. Raphael School in Park Extension participated at the First Lego League Jr. Showcase (Jr. FLL) Robotics Festival on April 1 at Uniprix Stadium. The theme for this year’s event, open to Kindergarten to Cycle I students, focused on recycling. With the guidance of Mme Josée and Ms. Veronica, students represented the recycling process of metal and aluminum from its initial to final stage. Students learned the use and function of the different pieces in order to collaboratively assembled a conveyor belt, a magnetic crane as well as a crusher. Students presented and explained, in both English and French, the mechanisms to the many other schools on the island. Prior to their visit, the students at Carlyle Elementary School in TMR learned about waste and recycling through various classroom activities and built simple machines using Lego Robotics. At Uniprix Stadium, the students enjoyed visiting displays from different schools. “Thanks to this Waste Wise Challenge, we all look at trash in a whole new way!” said Principal Anna Maria Borsellino. JUNIOR ROBOTICS: The Educational Alliance for Science and Technology (E.A.S.T) will present the 14th annual Junior Robotics Competition at Vanier College in Saint Laurent (821 Sainte-Croix) on Friday and Saturday, April 29 and 30. More than 300 students, forming 75 teams from 17 schools, will be competing this year. The competition consists of Soccer, Search and Rescue, On Stage (Dance) and Triathlon. In this event, students are asked to build and program robots (Lego) to meet a specific challenge designed for the competition. During the two-day action packed affairs, student teams compete with each other in an exciting and motivating environment where they learn programming and team building skills in a fun camaraderie atmosphere. BRAIN TUMOUR AWARENESS: Elementary school students raised over $4,000 to support brain tumour research. 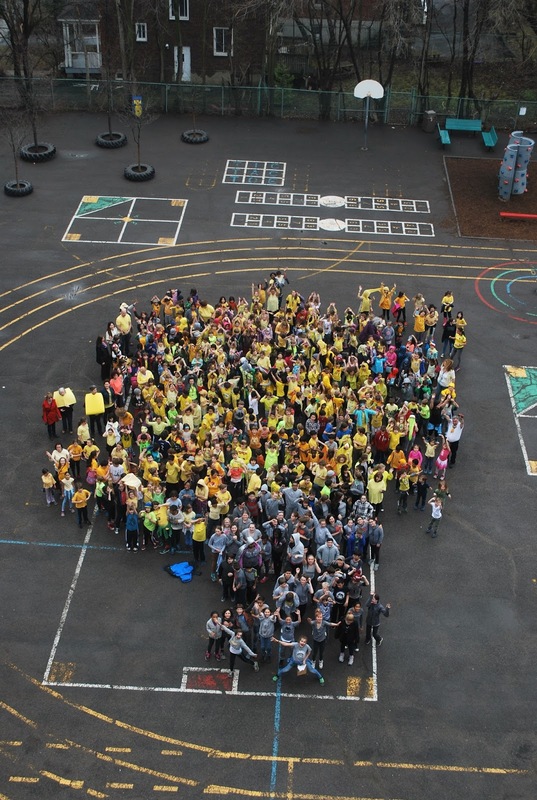 March was Brain Tumour Awareness Month, and elementary students at Leonardo Da Vinci Academy in RDP marked the occasion during the school’s annual Brain Awareness Week, which took place from March 7 to 11. Through the week, dress down days and popcorn sales resulted in an exceptional $4,089 being collected by staff and students to benefit brain tumour research at The Neuro! Leonardo Da Vinci Academy has been a loyal supporter of The Neuro for over a decade, donating proceeds from their annual dress down days to help advance this important cause. Thanks to the dedication of their staff and students, this year’s fundraiser was their most successful yet. To complement Brain Awareness Week, several classrooms at Leonardo Da Vinci Academy will be visited by volunteer presenters from McGill’s BrainReach program, so that they can learn more about the brain’s functions, its role in overall health, and its relationship to emotion, memory, and the five senses. SUGAR SHACK: The International Students Department recently organized several trips to the Sugar Shack “La Goudrelle” for their international students to get to know the history behind the production of maple syrup. International students from three elementary schools -Willingdon, St. Monica and Westmount Park - enjoyed a day out at the sugar shack on March 18.
enjoyed being exposed to the Quebec tradition for the first time. They officially became maple syrup fans and had a great time! Follow the international students department on social media for more information about their fun activities. BEAUTY AND BEAST: It has been five years now since Anneth Him-Lazarenko met Kyries Hebert. They are now one of the city’s true super couples: Anneth a professional women’s basketball player with a career as a teacher to call back upon and Hebert a star linebacker for the Montreal Alouettes. They are also engaged to be married. Hebert is probably the most community minded professional athlete in this city, a true breath of fresh air. He represents the Alouettes year-round at events and schools, runs his own Ky Cares Foundation and even has his own segment Friday evening’s on CJAD’s Passion radio show with Dr. Laurie Betito. I have had the good fortune of working with him at a few events in the past week and he is a real treasure. Next on the super couple’s agenda is their Beauty & Beast Sport and Self-Esteem Clinic for girls aged seven to 18. It takes place on Saturday, May 7 from 9 am to 4 pm – at McGill University (475 Pine West). Participants will be able to enjoy a fun day of basketball, cheer, and track while learning for professional athletes an important component will be sessions on self-esteem and self-awareness. Proceedings will conclude with an all-star celebrity basketball game featuring the likes of Hebert, Terrell Owens, Will Allen, Albert Haynesworth, Duron Carter, Tyrell Sutton and a special appearance by boxing champ Adonis Stevenson. The McGill Martlets, for which Anneth starred for, will also be part of the game. Tickets are available for the game only. “I believe young girls can benefit from this day,” she said. “We offer a one-time experience to be surrounded by professional athletes and professional business women. This day includes a sport clinic and also a self-esteem clinic where doctors and influential women will lead a panel of questions for the young girls. This day will inspire our younger generation of girls. Hebert is from Eunice, Louisiana and played in the National Football League for several years before moving over to the CFL. Hebert and Anneth are available to speak at schools in advance of the conference. For more details click here. Another hugely successful Jump Rope for Heart. JUMP ROPE FOR HEART: In what has become an annual tradition, students at Royal Vale School in N.D.G. skipped and jumped to raise money and awareness for the Quebec Heart and Stroke Foundation. Royal Vale School has raised more than $240,000 since 2003, cementing the school as the top fundraiser in Quebec and amongst the top 10 in Canada. Encouraging them throughout the day were parent volunteers and various members of the Concordia Stingers, representing a bevy of different sports. Billy Parker, defensive back from the Montreal Alouettes was also present to lend a helping hand and cheer on the students. Organized annually by Physical Education specialist Norman Katz, the event has become one of the most anticipated events on the Royal Vale calendar as it unites the Kindergarten to Grade 11 School for a good cause. FOOD FOR THOUGHT: With students, parents and grandparents on hand, students from Rosemount High School and Nesbitt Elementary School in Rosemount and Gerald McShane Elementary School in Montreal North officially launched Food for Thought, a cookbook linking generations of families through cuisine. The evening was held in advance of the Cook for a Cure gala in support of the Alzheimer’s Society of Montreal, which will bring the recipes in the cookbook to life. On Wednesday, May 11 (6 pm) at Plaza Antique 6086 Sherbrooke East, students will recreate their family’s signature dish for both family and celebrity judges. For the grandparents in attendance, the launch of Food for Thought was extra special as the book, and their inspiration for it, was a surprise. “The book allows the reader to connect with the stories of the students' loved ones and the dishes that transport them back home,” said Vince Lacroce, Spiritual and Community Animator. “It is much more than a cook book; it is a window to the lives of everyday individuals who positively impact the lives of their loved ones. The launch of Food for Thought was hosted by CTV Montreal’s Mose Persico and also featured a comedy set from Neil Janna. 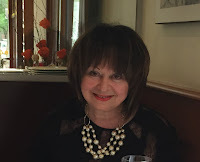 RITA DE SANTIS: Gerald McShane recently welcomed Bourassa Liberal Member of the National Assembly for the Bourassa-Sauvé riding and Minister responsible for Access to Information and the Reform of Democratic Institutions Rita De Santis. She spoke to Cycle 3 students. CHIEF TOP LEAF: Mohawk Education Chief Top Leaf spent time with students at Gerald McShane recently, complementing the lessons of Spiritual and Community Animator Rocco Seperanza. Chief Top Leaf spoke to students on native traditions and customs as well as the native’s relationship with wildlife. His visit corresponded with the National Wildlife Week and Earth Week programming. Students learned that our environment is fragile and we need to take care of it. Chief Top Leaf added that it is important not to build parking lots or malls where animal life is present as we share the planet with all living things. Montreal. LINKS is a high school that offers a variety of programs; including WOTP (Work Oriented Training Path), Challenges, a modified Cycle One program, as well as a new pilot program, CASP (Competency-Based Approach to Social Participation). These programs cater to students with diverse learning styles. This project has a strong cross curricular component, spanning such courses as math, geography, history, ERC, citizenship, French, ELA and visual arts. An environmental element is evident with the incorporation of recycled plastic container covers. Every student had a hand in the process from designing, measuring, painting and gluing. It was a great team effort!! Ultimately, this sharing of our cultures will bode well as the students immerse themselves into the community socially and vocationally. 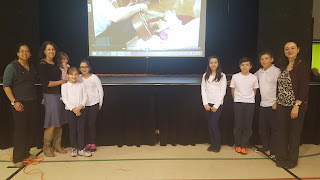 CHILDREN’S HOSPITAL: On March 15, Our Lady of Pompei Elementary School in Ahuntsic had the opportunity to welcome Tatiana Aparicio from the Montreal Children’s Hospital Foundation and Wendy Longlade, a mother who benefitted from the services of the Musical Therapy Program. 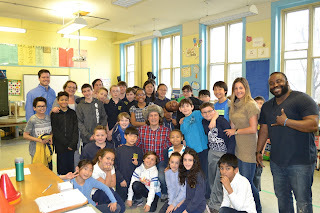 The Our Lady of Pompei Student Council chose the MCH Foundation as the recipient of this year’s dress down day funds. Students in Grades 3 to 6 were really touched by the foundation’s visit as the presentation was a personal experience testimony from the guest. Pictured left to right: Olivia Misaiphon (social facilitator at Our Lady of Pompei School), Ms.Longlade and her daughter, Alesia Ignoto, Kayla Anania, Stefania Zambardi, Anthony Monaco, Gianmarco Bergeron and Tatiana Aparicio. ÉCOLE POLYTECHNIQUE: Our Lady of Pompei had the pleasure to have students from École Polytechnique de Montréal come do a science activity with our students from Grades 3 to 6. 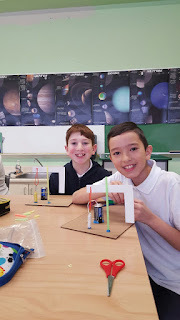 The Grade 3 level students had the opportunity to experience static electricity with a paper snake and a ruler; Grade 4s built their own hovercraft; Grade 5s created an electric magnet; and Grades 6 built their own mini LED flashlights. BIODIVERSITY: Grade 5 students at Our Lady of Pompei participated in a number of activities about biodiversity facilitated by the Minister of Parks, Wildlife and Forestry. The goal of the program is to encourage students to get involved in matters related to conservation and understand the concerpt of biodiversity, the importance of a quality habitat for wildlife and rules to protect them. 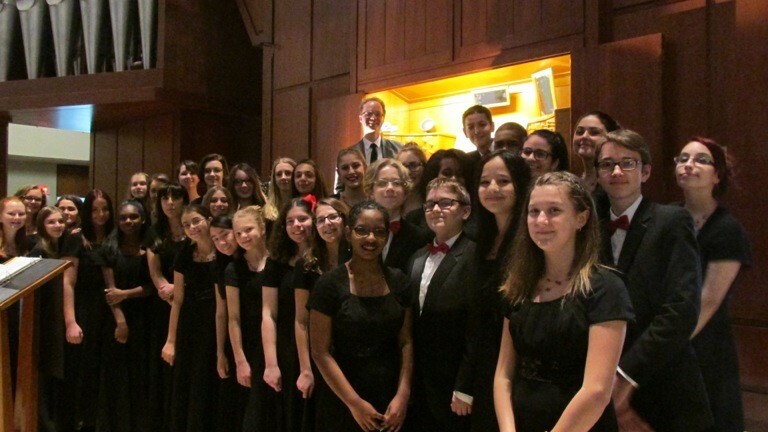 SPRING CONCERT: Our Lady of Pompei held its annual Spring Concert. The show was presented at the Theatre Marcellin-Champagnat. Students from Kindergarten through Grade 6 offered entertaining performances in this year’s musical, The Producers. This fun-filled and enriching experience was enjoyable as much for the students as it was for their family and friends that came to encourage them. Simon Radu, Our Lady of Pompei’s music specialist, and the students put a lot of effort and work in this charming endeavor. The link to the donation page is here. Sarah can be reached at sarahcaimano@hotmail.com. STUDENT COOKBOOK: Students in the two work-study programmes at Perspectives I High School are involved in an exciting new entrepreneurial project. In September 2015, the students brainstormed for ideas for a project, and realized that they had great appetites but not all of them had the cooking skills to match. This brought them to the idea of creating a cookbook written for teens by teens, with recipes that are healthy, delicious, and easy to make! The cookbook is entitled “U Hungry?” It caters to students who are interested in enjoying simple, tasty and healthy food that they can make for themselves at home. With the support of Perspectives I Head Teacher Barbara White and other committed staff members, (Frank Carocciolo, Elisa Ruffini, Ruth Rosenfield and Vince Lacroce) the students tried out recipes for smoothies, healthy snacks, and some delectable desserts. Some of the students have advanced cooking skills, while others were great at eating and then rating the recipes. Perspectives 1 also received a grant from the Green Apple School Program since the project is promoting healthy eating. The grant was used to buy blenders and food. The students also worked on their logo, the design, and the packaging of U Hungry?. The cookbook was printed with the help of Tony Leone and his team at Rosemount Technology Centre Printing and Digital Layout Department. DESIGN FAIR: This year, Secondary II students at John Paul I Junior High School in St. Léonard worked on a new project, Design Fair, instead of doing the regular Science Fair. This Design Fair was intended to show students how a project goes from cradle-to-grave. Students learned many things in including where a product comes from, how it's made , as well as how to dispose of it when it's no longer needed. This was an incredible cross-curricular project by the Science and Geography departments. THROWING AWAY GARBAGE: The Away Project facilitated by Jennifer Medwid, Visual Arts and Media Teacher at John Paul 1 , had Secondary II IB students working together with the 1 to 1 Movement. This non-profit group organizes active participation in a weeklong waste audit called The Away Project (Achieving Waste Awareness with Youth). Probing students to think about how we know we can throw away our garbage, yet really where is away? Students participated in a Skype conference with the San Diego based organization where they learned about the major issue of garbage and plastic facing our planet. Students participated in a 5 - day audit of the garbage they produce by carrying around a repurposed duffle bag where they had to place the garbage they would usually throw away. On the 5th day, another Skype conference was had to sort through the garbage collected and answer questions about what was produced, alternative ways to reduce and ways we can repurpose the non recyclable plastics that never break down when thrown away. The students learned about one solution for this garbage called bottle bricks, which is a system of stuffing plastic water bottles with plastic wrappers. These bottles are then used to build houses, benches in public gardens in the United States and globally. CULTURE IN THE SCHOOLS: At John Paul I l, in Ms. Medwid’s Visual Arts classes, the Secondary I and II students had the opportunity to work with a professional printmaker, Tallen Haiyken, invited to the school through the Cultures in the School initiative. Tallen, who has over 30 years of experience, gave an artist talk on the art of print making, showed her work to the students, then taught them the process and technique to create a monoprint. IB MURAL: Students at John Paul I created an IB Mural. Sébastien Astoux from Agor'art worked with the entire student population to paint the mural. 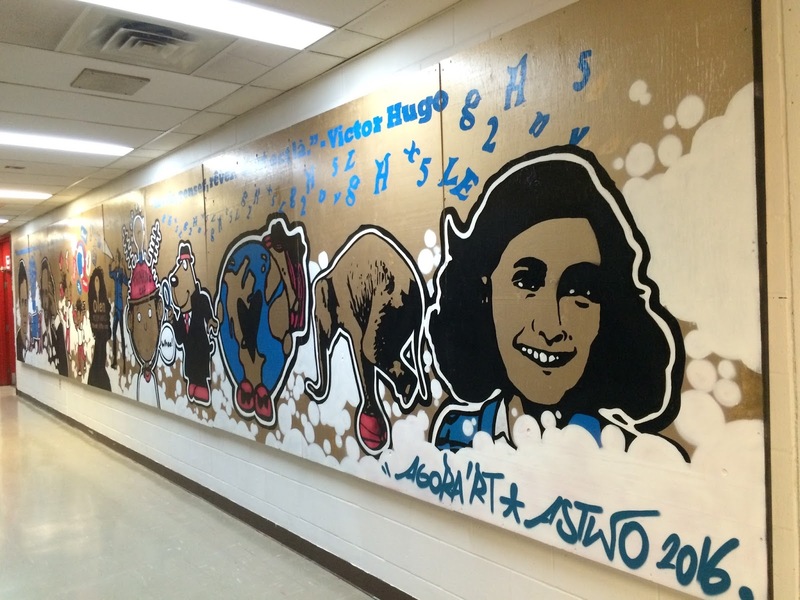 424 students spent four days and 16 hours in creating the 30 foot long and 5 foot high IB Mural. PHOTOS: New photos of the EMSB Board and School Administrators are now on the ePortal. The photos are filed by alphabetical order as well as by school for ease of use. Please click below for a direct link to the Communications ePortal site. If you are an administrator (Principal, Vice-Principal, Manager, Director, Assistant-Director, Officer) and do not have your photo on the portal, please attach a recent photo of you to an e-mail with your full name, title and place of work and I will add you to the directory. Please note that the administrator photos on the OLD INTRANET is no longer up-to-date and should not be used anymore. BLIND CANADIANS: The Montreal Chapter of the Alliance for Equality of Blind Canadians is hosting its conference and annual general meeting on Friday, April 29. This year it also includes an Exhibitors Day in order to provide publicity, public education and participation with the community says Irene Lambert. She is a past Chapter president and a past member of the AEBC Board of Directors. The event takes place at the Best Western Plus Montreal Downtown Hotel Europa (1240, Drummond) from 9 am to 4 pm. Who should attend? People and families affected by vision loss; Consumers seeking information about service providers, products and/or services in the area of vision loss; Organizations that have embraced diversity with initiatives to remove access barriers to employees or customers with vision loss; Teachers, students and parents looking for accessible solutions in the education setting; and anyone else who is interested in the areas of access, inclusion, independent living, and caregiving. No registration is required for attendees. Log on to www.blindcanadians.ca. GEORDIE THEATRE: The arrival of an eccentric boarder turns a young boy’s life upside down: Ludwig van Beethoven has moved upstairs! At first young Christoph resents the new tenant but slowly comes to understand the genius of the man, the torment of his deafness and the beauty of his music. A heartfelt and mesmerizing tribute for all ages, Beethoven Lives Upstairs introduces audiences to some of the composer’s most memorable works. To cap off its 35th anniversary season and to celebrate Dean Patrick Fleming’s contribution to the company with his ast offering as Artistic Director, Geordie is thrilled to bring back its theatrical adaptation of the award-winning Classical Kids’ story of the same title. Come revisit it or experience it as a family for the first time between April 29 and May 8, 2016. Adapted for the stage and directed by Fleming, it will star the original cast: Lucinda Davis, Quincy Armorer, Leni Parker, Eric Hausknost and Alex McCooeye. Designed by Amy Keith (Costumes), James Lavoie (Set), Thomas Godefroid (Lighting) and Peter Cerone (Sound).Geordie Productions is Quebec’s English-language theatre company for kids, presenting professional live plays for young audiences since 1980. Performances are April 29 to May 8. Info: (514) 845-9810 or www.geordie.ca. CENTAUR THEATRE OF TOMORROW PROGRAM: Centaur Theatre Company announces its Luminous Theatre of Tomorrow (TOT) Program for the 2015-2016 Season. The TOT program makes live English theatre accessible to High School students at a discounted price. Tickets remain at $16 for another year thanks to our sponsors. Program benefits include a teacher’s guide providing background information, discussion topics and improvisation activities; and talkback sessions following the performances where students meet the cast, voice their comments and ask questions. For schedule and teacher’s guide, go to http://www.centaurtheatre.com/schools.html. For bookings and inquiries, email groups@centaurtheatre.com or call 514-288-1229 x245. This page is your destination for everything about the challenge. As we get more details, this page will be updated. The 2016 Shakespeare Selfie is a great way to incorporate current affairs, creative writing and - of course - Shakespeare into the classroom. Info: jennifer.warren@cbc.ca. Sing of Spring! Chantons le printemps! Tuesday, May 10, 2016 – come anytime between 6 and 8 p.m.
SYD WISE AUDITORIUM: The Council of Commissioners has endorsed a proposal to name the auditorium at the Marymount Adult Education Centre after the late Syd Wise. He served as a commissioner for Côte Saint-Luc for 21 years. Prior to that he was an in-school administrator and teacher. He was the principal for many years at the former Wagar High School, where the Marymount Adult Centre is now based. A formal ceremony will take place before the end of the school year. OPEN HOUSE AT SHADD: With the priority of meeting the Ministry of Education's Goal #5, which is to increase the number of students under the age of 20 enrolled in vocational training, the Shadd Health and Business Centre in N.D.G. opened up its doors to regional directors, administrators, teachers and professionals from the EMSB Youth and Adult Sectors to explore a new approach on discovering vocational training. From the school’s business courses that delve into Secretarial Studies (Administrative Assistant), Desktop Publishing (Computer Graphics), Accounting AND Starting a Business to their health sector, offering Assistance in Health Care Facilities and Pharmacy Technical Assistance, students have the opportunity to learn unique skills to bolster their employability. Should your school or centre be interested in the programs offered at Shadd, please contact Mr. Cacchione to arrange for the program teachers to offer a demonstration. You can also visit www.shadd.com or call: 514-484-0485. See our more detailed press release. LIFETIME ACHIEVEMENT: For the sixth consecutive year, the Montreal Community Cares (MCC) Awards Gala will honour 17 individuals and organizations that are making a difference in our city. Created with the mission to promote and celebrate community engagement, the MCC Awards have paid tribute to some 90 Montreal community champions since 2011, and have helped build bridges among the city’s many different group. Denburk Reid, President and Founder of the Montreal Community Cares Foundation, explains: “Our message is simple – Be the spark, make it matter! That’s the gala’s theme and it’s what all of us need to be doing all year, every year – be the spark for community engagement in ourselves and others to make our city a better place to live and raise our families.”The Gala will be an evening of celebration and entertainment where local heroes, most of them ordinary citizens, receive the recognition they deserve. This year's Honorary Gala Chairperson is William Hlibchuk, partner at the global law firm Norton Rose Fulbright. Here’s a chance for Montrealers to buy a ticket and celebrate community engagement alongside public figures, celebrities and athletes while supporting this great community organization. Funds raised by the gala will go towards supporting the Montreal Community Cares Foundation’s youth programs. The Foundation’s mission is: “To empower our youth by developing their leadership skills through our programs, workshops and events, and by building bridges between communities. Our youth hold the key to Montreal’s future.” The 2016 Awards Gala will take place on Thursday, May 12 (6:30 pm) at the Eric Maclean SJ Centre (2477 West Broadway) in NDG. 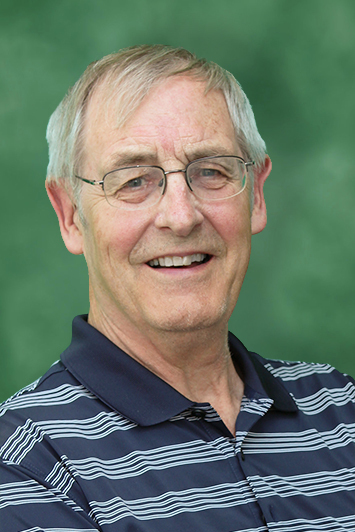 Ben Fagan, the principal of the EMSB’s High School of Montreal Adult Education Centre, will be presented with a Lifetime Achievement Award. ABILYMPICS: Team Canada was dubbed team EMSB at the recent Abilympics held in Bordeaux, France as students represented 12 out of the 17 competitors and earned Canada’s only gold medals in the process. The Abilympics, known as the Olympics of Abilities, is an annual world-wide competition that showcases vocational skills of persons with disabilities in skilled trade and technology areas. Nine students from the Adult Education and Vocational Sector (AEVS) as well as three from Lester B. Pearson High School in Montreal North made the trip to France to represent the EMSB and Canada. Leading the charge for Canada were Gold medalists Alexandre Chouinard and Eric Carriere from Rosemount Technology Centre, winning their medals in Mechatronics. EMSB students also competed in welding, photography, esport, cooking, baking, painting, crochet work and cabinet making. The youngest Canadian participants on the team were William Caporuscio and Emilio Evangelisti from Lester B. Pearson High School in Montreal North,who competed in painting against 18 international candidates. The competitors came from France, China, Thailand, and India, as well as other countries. Their assigned task was to make two surrealist paintings with a specific theme and criteria within a 6-hour period, over the course of two days. "William and Emilio painted with a lot of determination and as one of the international judges for painting," said art teacher Anoinette Koranteng. "I was privileged to watch them transform their blank canvases into something imaginative!" The name Abilympics combines Abilities with the idea of the Olympics and is a competition that happens every 4 years promoting the skills of persons with disabilities. For the first time ever, Team Canada brought home medals from the competition - Gold in Mechatronics, and silver in Aircraft Maintenance, Hairdressing, and Welding! Pictured above: Rosemount Technology Centre students, from left, Alexandre Chouinard (Mechatronics) GOLD MEDAL WINNER, Justin Leveigne-Vien (Welding), Daniel Crosby (Cabinet Making), Eric Carriére (Mechatronics) GOLD MEDAL WINNER represented Team Canada at the 9th International Abilympics Competition in Bordeaux, France. Also representing RTC was Robert Martin who participated as a judge at this competition, for the welding trade. PRECIOUS PETS: In his series about EMSB schools and pets, Stuart Nulman visited the Galileo Adult Education Centre in Montreal North recently for Precious Pets Newspaper. Koula Lamprou is a student with the Social Integration Services (S.I.S) program at Galileo Adult Education Centre in Montreal North who used to be non-communicative, introverted and had a terrifying fear of animals. That all changed when she became part of the school’s pet therapy program, which was established this past fall; when she got the chance to interact with the program’s menagerie of animals, including Zorro the rabbit and Gadget the dog, things began to change for Koula for the better. “Since Koula began interacting with the animals, she became a different person. She is opening up a lot more, she is communicating and interacting eye-to-eye with other people, and she is now approaching the animals without any fear. In fact, she is even laughing with them,” marvelled Centre Principal Martina Schiavone. The pet therapy program at Galileo is a pilot project that is being done as part of a partnership the centre has with CRDI-TED (Le Centre De Réadaptation en Deficience Intellectuelle et en Troubles Envahissants du Developpement de Montreéal), a social service network that works with people who have autism and intellectual disabilities. Its main objective is to use pets as a means to help the students deal with their individual anxiety issues, as well as strengthen and promote such skills as personal expression, individual creativity, integration and personal skills, participation, visual and tactile For more information about the pet therapy program at Galileo Adult Education Centre, go to www.gaec.ca, or call 514-721-0120. You can read the entire story by going here to page 3 right here. LEGAL RIGHTS: Students from Lisa Trotto's English class at Galileo Adult Education Centre welcomed an Educaloi workshop where legal rights and responsibilities were at the center of discussion. The lawyer discussed a variety of topics with the young adults: the legal system, legal professions and legal vocabulary. This hands-on experience empowered Galileo students because they are better informed of their legal rights in aspects that concern them. The lawyer encouraged the students and granted them the support and confidence to protect themselves in terms of labor and consumer law, criminal and penal law and the minimum age for engaging in certain activities. JOURNEY TO OLD MONTREAL: Students from Ms. Trotta’s English class at Galileo Adult Centre recently attended a walking tour and a play in Old Montreal. The English department at Galileo truly believes that performing arts can inspire our adult learners in a myriad of ways. While theatre is not only enjoyable to watch, it can also generate amazing insights. 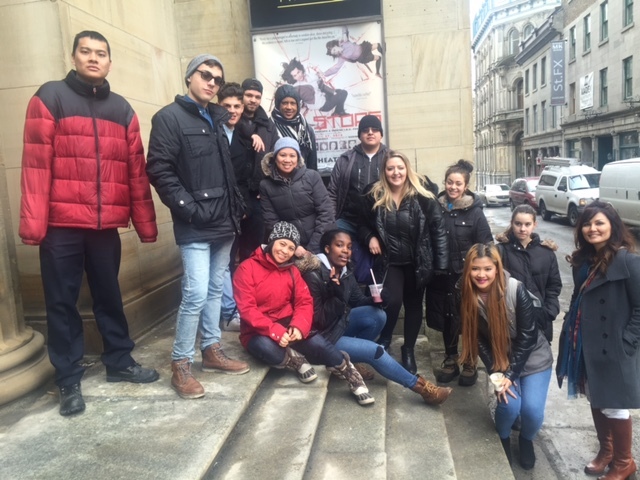 At the Centaur Theatre, students viewed a matinee performance of Marilyn Perreault’s Bus Stops. As time shifted backwards, the clever and evocative play told the story of a group of passengers on a public bus whose lives fused together during a catastrophic explosion. The passengers revealed each of their stories while trying to uncover the mystery leading to their tragic fates. The fact that the acting was carefully crafted and coupled with music, dancing, storytelling and live video was what made the play so unique. Their field trip was enriched by a walking tour of visiting significant historical sites including; Marché Bonsecours, the Palais de Justice, and Montreal's Notre-Dame Basilica. INTRODUCTION TO FINANCIAL LITERACY: Galileo Adult Education Centre welcomed the Royal Bank of Canada to host a session on financial literacy in the classes of Tina Larosa and Tanya Lo Bianco. Students actively participated by asking pertinent questions and improving their vocabulary by learning financial terminology. This kind of workshop compliments the CCBE courses in that students are increasing their ability to make informed choices through their newly acquired knowledge and become more actively involved in effectively managing their finances. The presenter was inspirational because he served as a model for newly arriving immigrants being a newcomer himself, who had made a success of his life. A NICE DONATION: Galileo Adult Centre donated more than $3,000 to Leucan and Beauty & Beast Foundation in a two week fundraising blitz by selling baked goods, pizza, and raffle tickets. On April 3, the Ky Cares Foundation hosted team building activities with star Montreal Alouettes football players as trainers. The “Lace it Up Ladies” event served as a thank you to all the sponsors who donated funds to assist families of children diagnosed with cancer via Leucan support services and Beauty & Beast Foundation that supports young girls in sports. Kyries Hebert’s Ky Cares Foundation invited a team of 15 Galileo teachers and staff to compete and gain skills that enable members to strategically align effective communication skills and hone their teamwork abilities. The team building activities were: various obstacle courses, football throwing, building on the team’s speed and response time; first aid training, and education on the football rules. From 1 p.m to 5p.m. the Alouettes football players spent time inspiring Galileo staff to excel in life. 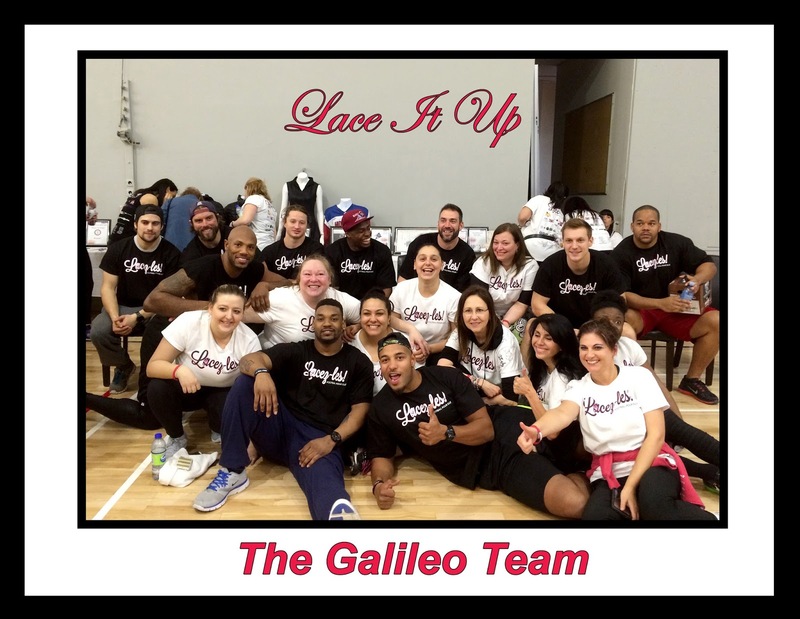 Galileo students and staff were generous in their support of Leucan and Beauty & Beast and their fundraising accomplishment truly exemplify the meaning of team spirit. PROJET DE LOI 86: Les présidents de six commissions scolaires francophones et anglophones de l’île de Montréal et des Laurentides ont tenu une rare conférence de presse commune le jeudi 17 avril au Collège Vincent Massey de Rosemont. Ils ont dévoilé un nouveau mémoire sur le projet de Loi 86 qui propose une restructuration de la gouvernance des commissions scolaires qui limite le droit du public à voter pour des commissaires. Ce mémoire sera envoyé au ministre de l’Éducation, aux différents partis politiques et organisations du Québec qui ont fait des présentations aux audiences publiques de l’Assemblée nationale. Le mémoire englobe les points de vue communs de six commissions scolaires francophones et anglophones qui représentent 283 000 élèves, 508 écoles, 40 500 employés et des budgets de 2,5 milliards $. Milville Boudreault, présidente de la Commission scolaire de la Pointe-de-l’île (CSPL), Catherine Harel Bourdon, présidente de la Commission scolaire de Montréal (CSDM), Louise Lortie, présidente de la Commission scolaire de Laval (CSDL), Jennifer Maccarone, présidente de la Commission scolaire Sir Wilfrid Laurier (CSSWL), Angela Mancini, présidente de la Commission scolaire English-Montréal (CSEM) et Suanne Stein Day, présidente de la Commission scolaire Lester-B.-Pearson (CSLPB) ont pris la parole au nom de leurs commissions qui sont représentées par 72 membres élus et 23 commissaires représentants de parents. L’approche et les propositions présentées par le gouvernement libéral, premièrement par le ministre François Blais, ensuite par le ministre Pierre Moreau et, maintenant, par son successeur Sébastien Proulx ont naturellement poussé les représentants élus des conseils des commissaires à adopter une approche commune au sujet des nombreuses préoccupations, questions et recommandations reliées au projet de Loi 86. Il faut aussi souligner que les commissaires élus de toutes nos commissions scolaires appuient les préoccupations valides du secteur anglophone relatives à leurs droits constitutionnels couverts par l’article 23 de la Charte constitutionnelle qui spécifie que les enfants anglophones peuvent recevoir et maintenir leur enseignement en anglais dans des écoles sous la gestion et le contrôle de la minorité anglophone. Dans ce contexte, au cas où cet article remplace l’application du projet de Loi 86 au Québec, il faut craindre que le gouvernement puisse considérer un système à deux volets où, d’une part, les commissions scolaires anglophones bénéficieront de conseils démocratiques et pluralistes et, d’autre part, les commissions scolaires francophones seront soumises à un ministère dont le principal responsable a été remplacé en moyenne chaque 18 mois au cours des 10 dernières années. SEMAINE DE LA SANTÉ MENTALE: La Semaine de la santé mentale de l‘Association canadienne pour la santé mentale s’approche rapidement et les élèves de l’école secondaire Rosemont ont décidé d’inciter la sensibilisation par le biais d’une série de vidéos YouTube. Du 2 au 8 mai, la semaine de la santé mentale est une campagne annuelle où l’Association canadienne de la santé mentale célèbre les modes de vie sains et les attitudes positives à travers le Canada. En reconnaissance de la Semaine, les élèves de la 8e à la 11e année, sous la direction de l’enseignante Sonia Mangiola et de l’animateur de vie spirituelle Vince Lacroce, ont créé trois vidéos qui seront distribués par le biais des médias sociaux. La production des vidéos n’aurait pas été possible sans l’aide de la famille Butel ainsi que des élèves de l’école secondaire Rosemont, Eliana Marra, Dahlia Valiante Pacewith et le directeur adjoint, Andrew Mangal qui a composé la partition musicale. Le projet actuel servira de base pour les ateliers spécialisés de maladie mentale que les élèves de Rosemont animeront pour les élèves d’écoles primaires locales cet automne. Ces ateliers auront lieu de concert avec la Semaine de sensibilisation à la santé mentale du 3 au 9 octobre. Veuillez cliquer le lien suivant pour visionner la première vidéo : http://youtu.be/kI55nDIU-1w. ÉCHANGES AVEC L’INDE: L’Académie Royal West de Montréal-Ouest vient de terminer son dernier échange international d’élèves. Les enseignants André Vamvakas, Angelos Diacoumacos et l’enseignant retraité Sidney Westlake ont accompagné un groupe de 20 élèves de 9e année aux régions de New Delhi, Rajasthan, Mumbai et Mahārāshtra de l’Inde. Les élèves et le personnel ont été logés avec des familles indiennes de la Venkateshwar Global School, Rohini de New Delhi qui avait visité le Canada il y a un an. Pendant huit jours, la délégation a vécu une expérience entièrement indienne. La ville se trouve à près de 25 km de New Delhi, la capitale de l’Inde, qui est l’une des villes les plus vibrantes et excitantes. « La délégation canadienne a été reçu avec enthousiasme à son arrivée à l’aéroport international Indira Ghandi par toutes les familles indiennes » a déclaré M. Vamvakas. LE FRANÇAIS POUR L’AVENIR: L’école secondaire Westmount a été le site du Forum du Français pour l’avenir de Montréal 2016 le 22 avril. Visant à promouvoir le bilinguisme parmi les jeunes canadiens, le thème du Forum annuel du Français pour l’avenir est Respect, Culture et Intégration à la société québécoise. Près de 500 élèves de 10 écoles secondaires de Montréal et de trois commissions scolaires étaient présents. La charismatique comédienne montréalaise, Dorothy Rhau, tiendra le rôle de maître de cérémonies. Le rapper Canadien, SAMIAN, nommé « artiste de la paix » en 2016 a inspiré les jeunes par son histoire et ses chansons bilingues, présentées partiellement en français et partiellement dans sa langue natale algonquienne. Cette année, nous avons ajouté le thème de la célébration du Jour de la Terre et Jean-Philippe Hardy, directeur adjoint de la firme Énergère, experts en efficacité énergétique, lancera l’évènement en offrant généreusement des prix aux soumissions de la vidéo environnementale « Challenge » par des élèves d’écoles participantes. Énergère participe actuellement à un projet de 24,6 millions de dollars dans 17 établissements de la Commission scolaire English-Montréal. Rebecca Fiset-Côté, étoile montante de la scène musicale locale, s’est produite sur scène. La jeune fille de 17 ans a fait les manchettes de l’émission populaire de TVA « La Voix » (la version française de « The Voice ». Elle a participé à neuf épisodes qui ont été visionnées par des millions de téléspectateurs, a réussi aux auditions préliminaires, aux auditions à l’aveuglette, aux duels et, finalement, aux « champs de bataille » du 13 mars où elle a interprété une version passionnée de Francis Ghabril « Je l’aime à mourir ». D’autres activités incluaient un quiz interactif sur la culture canadienne et québécoise, un groupe contemporain francophone de danse hip-hop, Volte Face, et une finale interactive très attendue mettant en vedette la Ligue d’improvisation Montréalaise. L’évènement s’est terminé par la remise de quelques prix exceptionnels présentés par des commanditaires locaux (Bureau en gros, HMV, Empire, Renaud Bray, etc.). 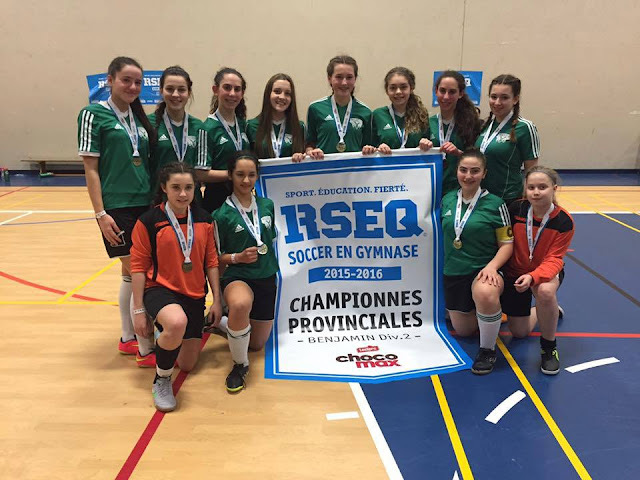 Les écoles participantes de la CSEM sont : l’école secondaire Westmount, l’Académie Royal West de Montréal-Ouest et l’école secondaire John F. Kennedy de Villeray-Saint-Michel. Pour de plus amples détails, consulter www.french-future.org. ART ORATOIRE: Les communicateurs les plus dynamiques de la CSEM ont à nouveau été mis en vedette au concours d’art oratoire 2016 de la CSEM à l’école secondaire Lester B. Pearson. Les élèves du Cycle I (secondaire I-II) ont prononcé des discours personnels narratifs tandis que ceux du Cycle II (secondaire III-V) se sont concentrés sur des discours persuasifs sur des sujets, ‘Importance sociale ou politique’. Comme pour les années précédentes, le lauréat du Cycle I, Massimo Mancini de l’école secondaire Lester B. Pearson présentera son discours au conseil des commissaires. La lauréate du Cycle II Thrisika Visuvalingam de l’Académie internationale Marymount aura l’occasion de participer aux finales d’art oratoire du Rotary Club en mai. Le Cercle canadien des femmes a octroyé à la lauréate du secondaire IV, Jessica Sheoprasad de l’école secondaire Rosemont une semaine, tous frais payés, à Rencontres du Canada à Ottawa et une invitation à prononcer son discours à leur réunion de mai. Les autres lauréats ont été : Kareem Brochu de l’Académie Royal West (secondaire III) et Logan Stack de Royal West (secondaire V). CHORALE: La Chorale senior de la CSEM a terminé une semaine de concerts prestigieux avec une invitation à la Maison symphonique. Elle a interprété cinq mouvements du Stabat Mater de Pergolese avec Mélanie Barney au grand orgue en tant que prélude au concert de l’orchestre métropolitain. La ministre du Patrimoine canadien Mélanie Joly était présente. PROGRAMME D’EXPLORATION DE CARRIÈRE: Le programme d’exploration de carrière des Services aux élèves de la CSEM est conçu pour aider les élèves à découvrir si l’occupation à laquelle ils sont le plus intéressés est le bon choix de carrière pour eux. Ce programme a eu du succès par le passé surtout grâce à diverses entreprises, institutions et contacts qui ont pris le temps d’accueillir les élèves de la CSEM. Le 23 mars, plusieurs élèves de l’Académie Royal West, du Collège Vincent Massey, des écoles secondaires Rosemont, Westmount, Lester B. Pearson et Laurier Macdonald ont fait une visite d’exploration de carrière au nouveau Centre universitaire de santé McGill. Diane Weidner du service des affaires publiques du CUSM a organisé cette expérience enrichissante pour nos élèves. Après une brève introduction et tour de l’hôpital, les élèves ont visité le Centre de ressources McConnell et appris quelles sont les nombreuses ressources éducatives disponibles aux patients et au personnel. Les élèves se sont ensuite dirigés vers l’Hôpital de Montréal pour enfants où ils ont eu une session productive d’information avec Mme Weidner. Les élèves ont ensuite assisté à une session d’information avec le Dr Aris Hadjinicolaou, résident en pédiatrie générale et, actuellement, président de l’Association des résidents de McGill qui a répondu à plusieurs questions de nos aspirants médecins. Les élèves ont grandement apprécié cette occasion et ont dépassé le temps prévu pour la session. Le Dr Hadjinicolaou qui partage leurs sentiments les a aidé avec ses réponses et a exposé sa passion pour la médecine aux jeunes élèves. En général, ce fut une autre visite d’exploration de carrière couronnée de succès. SENSIBILISATION À LA TUMEUR DU CERVEAU: Les élèves d’écoles primaires ont recueilli plus de 4 000 $ pour la recherche sur la tumeur du cerveau. Mars a été le mois de la sensibilisation à la tumeur du cerveau et les élèves de l’Académie Leonardo Da Vinci ont souligné l’occasion durant cette semaine, qui a eu lieu du 7 au 11 mars. Tout au long de la semaine, des journées de tenues décontractées et de ventes de maïs éclaté ont permis de lever un montant exceptionnel de 4 089 $ au profit de la recherche sur la tumeur du cerveau . L’Académie Leonardo Da Vinci est un partisan loyal de l’Institut neurologique depuis plus de 10 ans. Grâce au dévouement de son personnel et des élèves, la levée de fonds de cette année a été la plus réussie. CABANE À SUCRE: Le Service des élèves internationaux a récemment organisé plusieurs excursions à la cabane à sucre « La Goudrelle » afin que ses élèves se familiarisent avec la production du sirop d’érable. Les élèves de trois écoles primaires – Willingdon, St. Monica et Westmount Park – ont passé une agréable journée à la cabane à sucre le 18 mars. JEUNESSE, J’ÉCOUTE : Jeunesse, J’écoute a lancé un nouveau service pour les jeunes gens âgés de 14 à 18 ans; un segment qui est de 31 pour cent moins porté à discuter de questions de santé mentale et émotive que les filles et 36 pour cent moins porté à parler du suicide et de questions reliées au suicide et, pourtant, le taux de suicide parmi les mâles est quatre fois plus élevé. Jeunesse, J’écoute a reconnu le besoin de créer une ressource pour aborder les besoins uniques des adolescents et, par le biais d’un comité consultatif et de divers groupes de travail, a conçu le Coin des Gars. Avec le financement de la Fondation Movember, une zone en ligne d’aide de soutien et de service d’étude de cas pour les adolescents âgés de 14 à 18 ans est maintenant disponible. Conçu pour les jeunes hommes, le nouveau service vise à améliorer le comportement de recherche d’aide chez les jeunes hommes par le biais de soutien, tel que Live Chat, outils de ressources en ligne et interactives : http://brotalk.ca et http://coindesgars.ca. Les écoles sont encouragées à appeler Suzanne Gautier-Duff au 514-948-8355, ou par courriel Suzanne.Gautier-Duff@jeunessejecoute.ca. GRAND NETTOYAGE: Année après année, les montréalais de tous âges sont invités à participer au Grand Nettoyage. Ce programme aide à embellir les endroits publics ou privés, les parcs, les allées, les terrains de sport et les cours d’école. Il implique la communauté à un projet éco-responsable. Les organisateurs demandent aux écoles de se mobiliser massivement et de faire participer les enfants à une sixième édition du Grand Nettoyage, La ville peut fournir des sacs de poubelle et de recyclage, des pelles, des râteaux et des balais. Elle peut aussi fournir des t-shirts pour des tirages au niveau de l’école. Cette activité est une occasion de faire preuve de leadership communautaire et d’enseigner aux enfants l’utilité des conteneurs de déchets et de recyclage. C’est une excellente façon de gérer l’environnement et de faire de nouveaux amis pour la nouvelle année scolaire. Consultez ce dépliant sur la façon d’adhérer ---- http://www.emsb.qc.ca/emsb_en/pdf_en/media_en/flyer/2015-08-17-Big%20Cleanup.pdfé. Vous devez vous inscrire au projet Grand Nettoyage au moins 72 heures à l’avance pour recevoir votre matériel, le guide d’organisateur et les instructions de sécurité. Info : Julie Millette 514-872-0588 ou julie.millette@ville.montreal.qc.ca. DROITS LÉGAUX: Les élèves de la classe d’anglais de Lisa Trotto au Centre d’éducation des adultes Galileo ont assisté à un atelier Educaloi où les droits légaux et les responsabilités étaient au centre des discussions. L’avocat a discuté d’une variété de sujets avec les jeunes adultes : le système légal, les professions légales et le vocabulaire légal. Cette expérience de première main a responsabilisé les élèves de Galileo car ils sont mieux informés de leurs droits légaux dans les contextes qui les concernent. L’avocat a encouragé les élèves et leur a donné l’appui dont ils ont besoin pour se protéger, en termes de loi du travail et de protection du consommateur, de lois criminelles et pénales et de l’âge minimum pour participer à certaines activités. EXCURSION AU VIEUX MONTRÉAL: Les élèves de la classe d’anglais de Mlle Trotta du Centre d’éducation des adultes Galileo ont récemment passé une journée à visiter le Vieux Montréal. Le département d’anglais de Galileo est convaincu que les arts du spectacle peuvent inspirer ses élèves adultes de plusieurs façons. Au théâtre Centaur, les élèves ont assisté à une représentation de Bus Stop de Marilyn Perreault. Cette pièce raconte l’histoire d’un groupe de passagers d’autobus dont les vies se confondent lors d’une explosion catastrophique. Les passagers racontent leurs histoires tout en essayant d’éclaircir le mystère qui les a menés à ce destin tragique. Le fait que l’adaptation était très bien conçue et qu’elle était accompagnée de musique, de danse, de récits et de vidéo fait que cette pièce est vraiment unique. Leur excursion a été enrichie par une promenade dans les sites historiques significatifs, incluant le Marché Bonsecours, le Palais de Justice et la Basilique Notre-Dame. INTRODUCTION À LA LITTÉRATIE FINANCIÈRE: Le Centre d’éducation des adultes Galileo a reçu la Banque Royale du Canada qui a présenté une session sur la littératie financière aux classes de Tina Larosa et de Tanya Lo Bianco. Les élèves ont participé activement en posant des questions pertinentes et en améliorant leur vocabulaire en apprenant la terminologie financière. Ce type d’atelier complète les cours suivis par les élèves car il augmente leur habileté de faire des choix avisés par le biais de ces connaissances nouvellement acquises et d’être plus activement impliqués à la gestion de leurs finances. The next Focus will be published on May 26. Submissions should be made to Michael J. Cohen preferably by e-mail (mcohen@emsb.qc.ca) by May 20 at Noon.